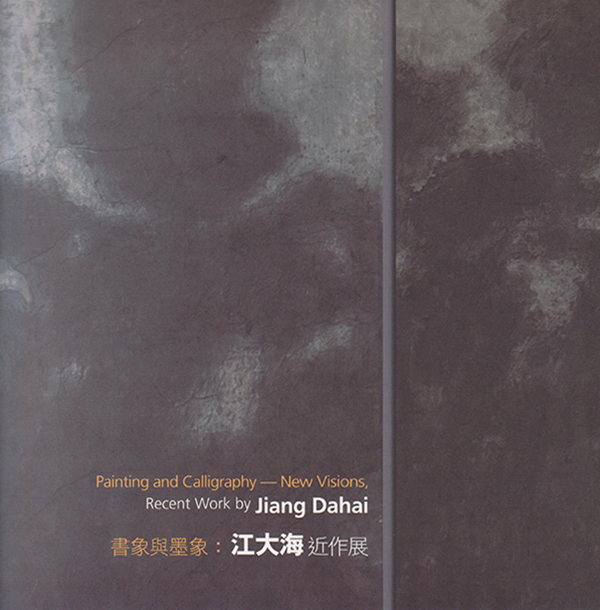 A walk-through of the exhibition followed by a lecture (in English) on the life and work of Huang Yao, delivered by the late artist's granddaughter. 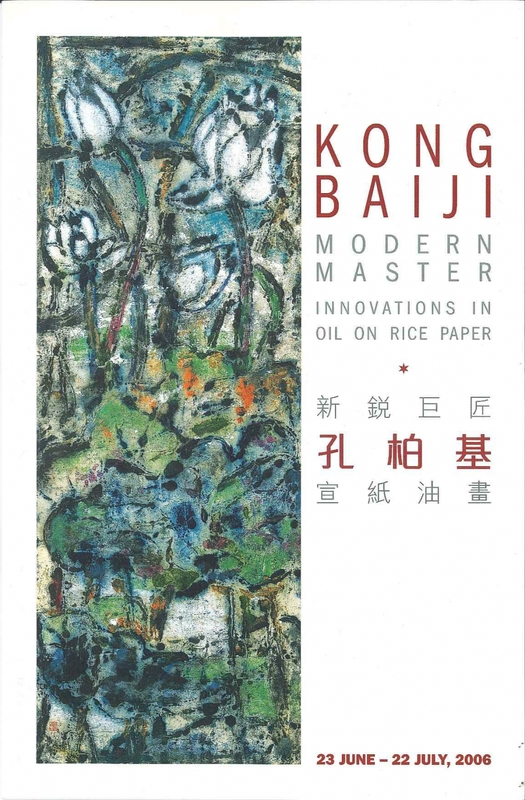 To be officiated by Mr. George Yeo, Chairman of Kerry Logistics Network Limited. 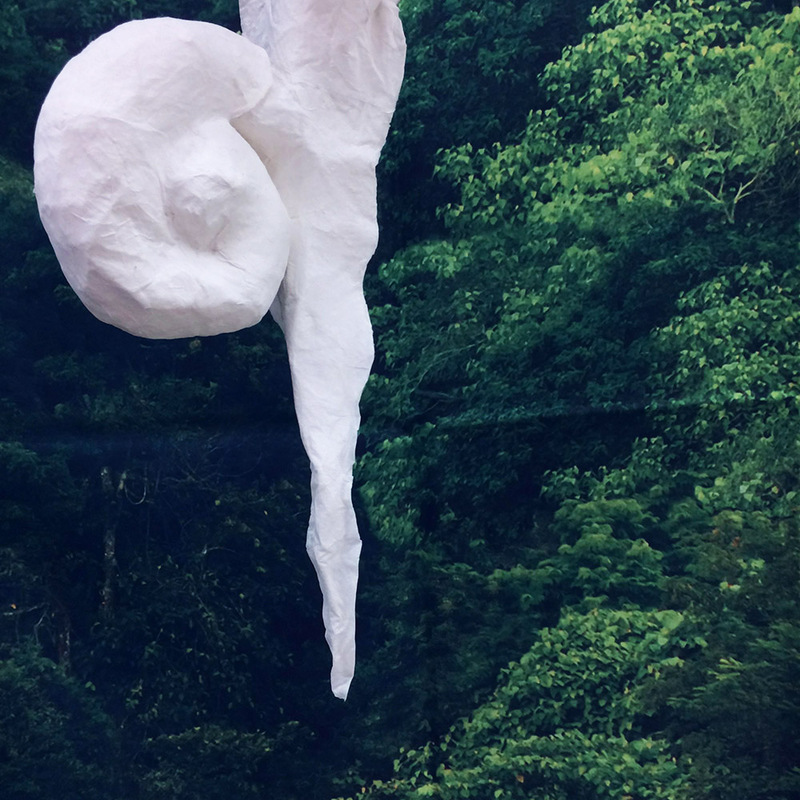 Selected works by Lui Shou-kwan and his students from the Hong Kong Arts Centre exhibition will be on display at the gallery from the 2nd of October till the 28th of October. 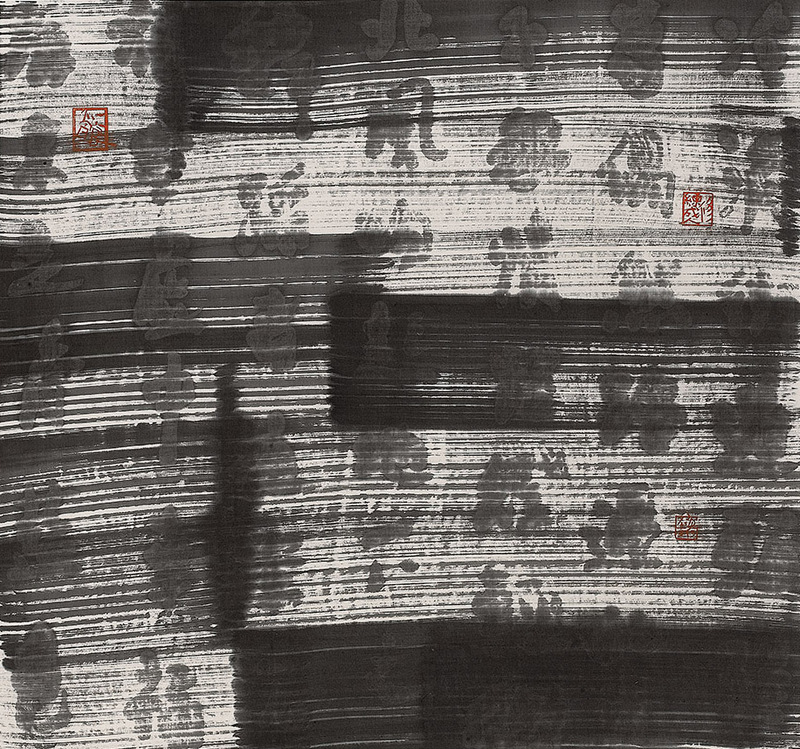 Alisan Fine Arts is pleased to announce that after a successful exhibition at the Hong Kong Central Library, selected works from “Yang Jiechang: Good Morning Hong Kong” and “Early Works by Yang Jiechang – 100 Layers of Ink” will be displayed at the gallery until August 15th. 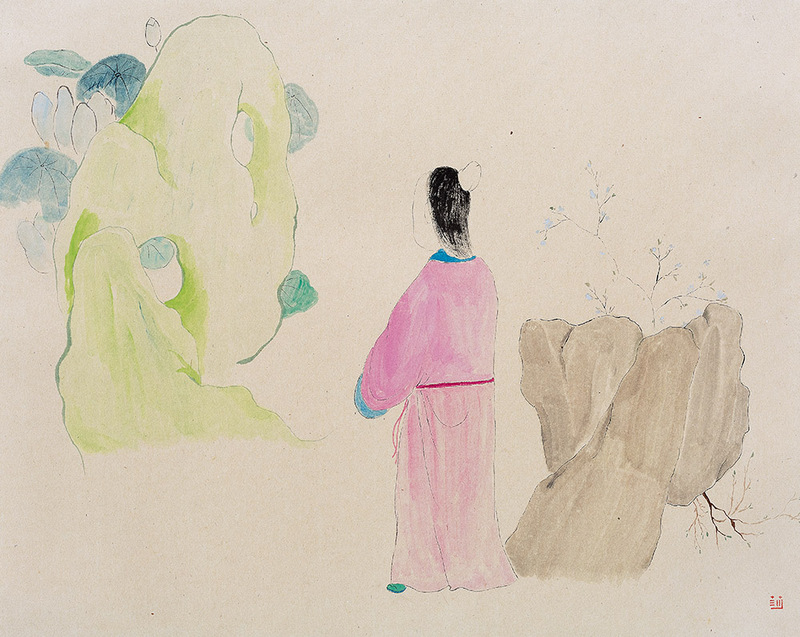 In the 6th Century A.D., the scholar-poet Xu Ling assembled an anthology of love poems entitled New Songs from a Jade Terrace, the title referencing the luxurious palace apartments in to which upper-class women were often relegated. 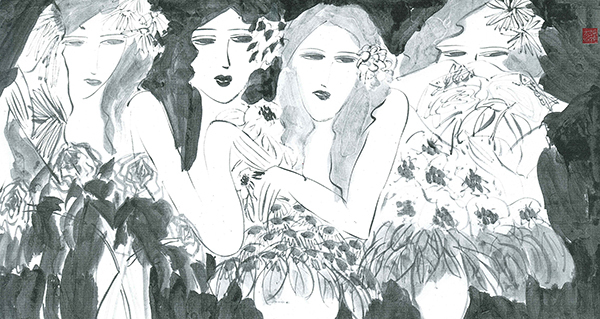 Since then, "Jade Terrace" has served as an abstract literary reference to an ideal, eternal place where immortal women gather to enjoy aesthetic pleasures. 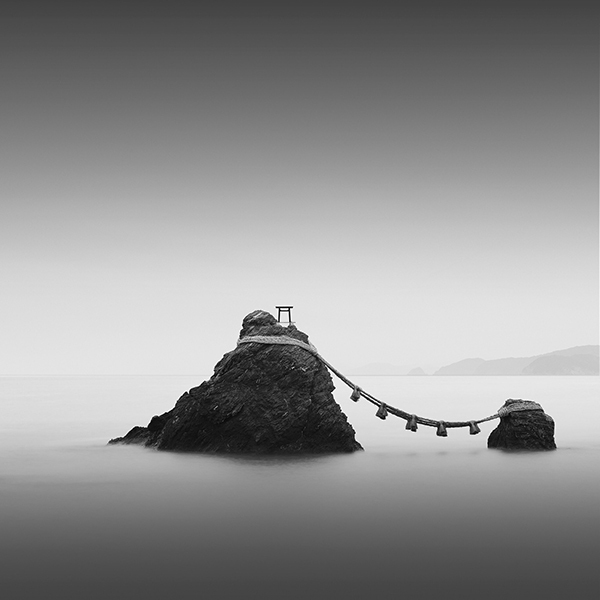 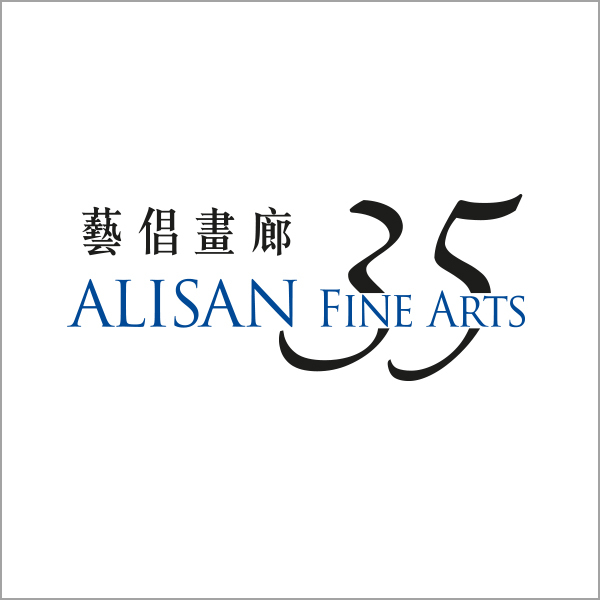 For the first time, Alisan Fine Arts will be participating in “Asian Art HK” organized by Orientations Magazine. 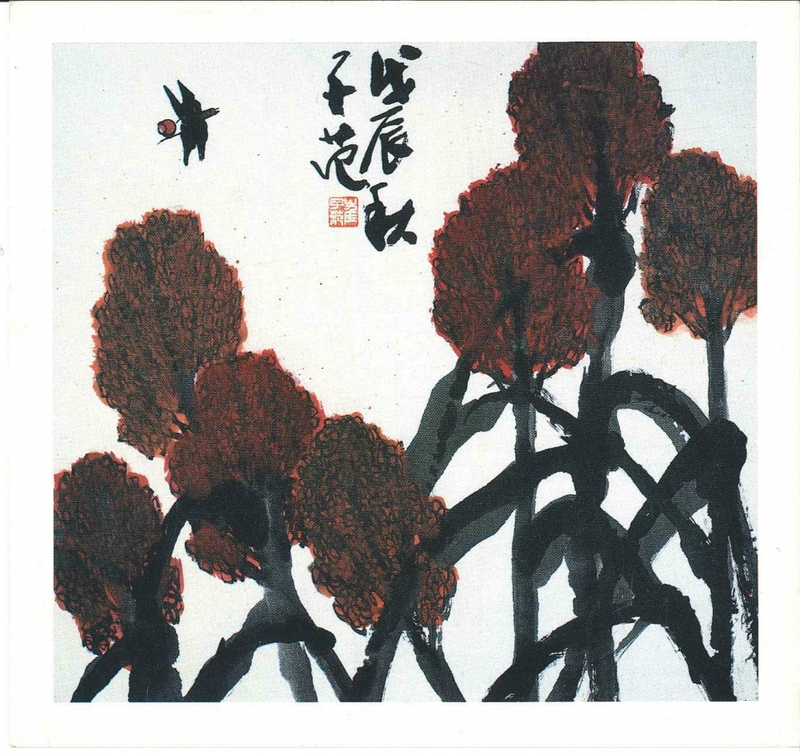 For this special event, we are honoured to present internationally acclaimed Shanghai artist, Wang Tiande. 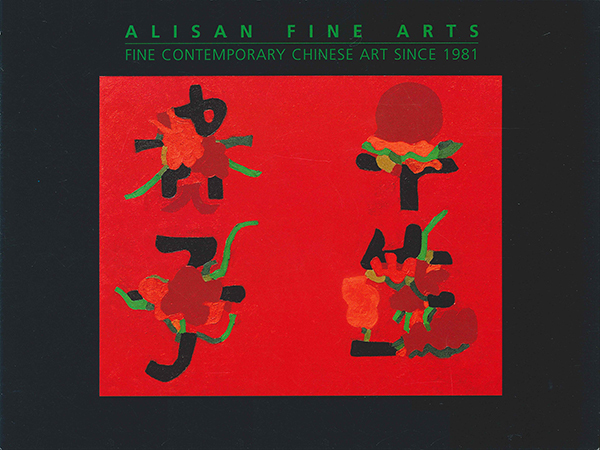 Alisan Fine Arts will host Fang Zhaoling’s solo exhibition at the FINE ART ASIA 2012 4-7 Oct (Private Preview 3 Oct) (Opening ceremony 4 Oct 5pm-7pm, officiated by Mrs Anson Chan, GBM, GCMG, CBE, JP, Former Chief Secretary for Administration HKSAR), and then at the gallery 9 Oct-10 Nov 2012. 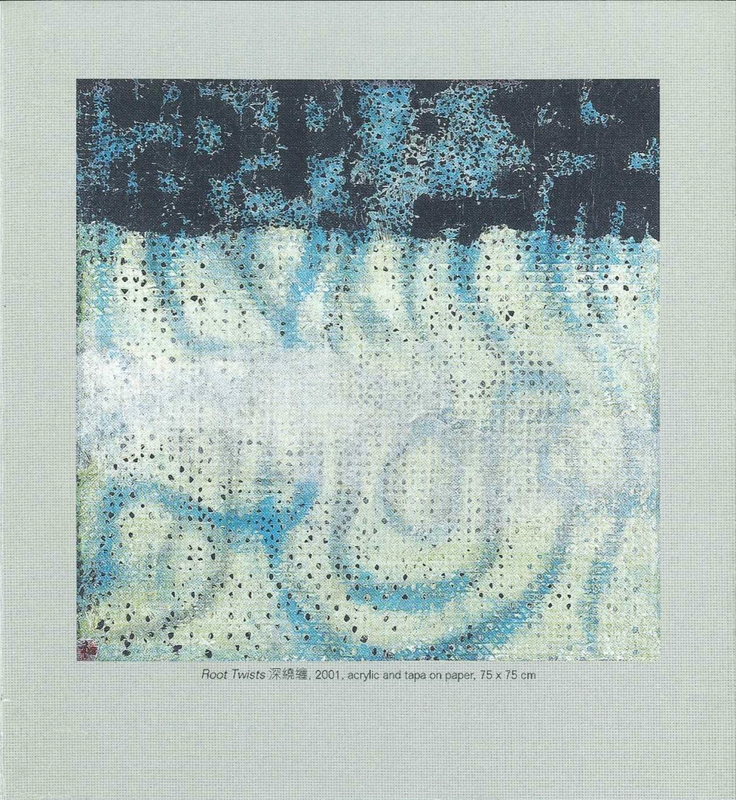 An exhibition catalogue will be published. 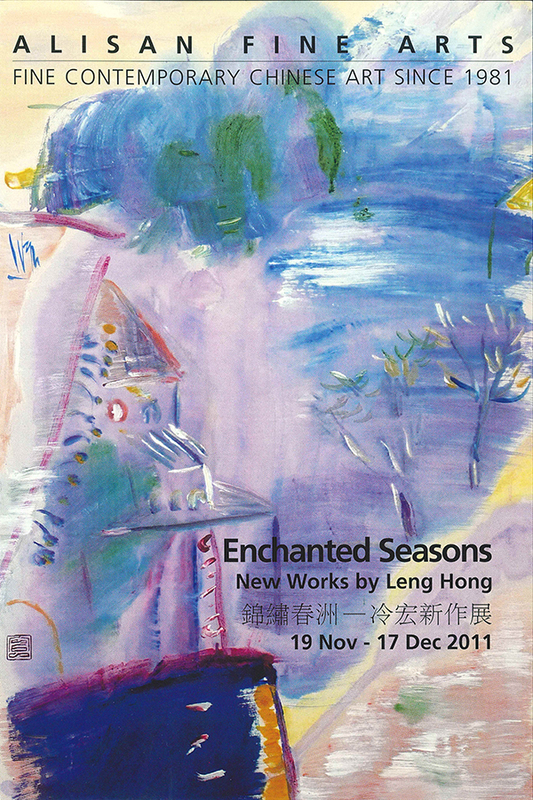 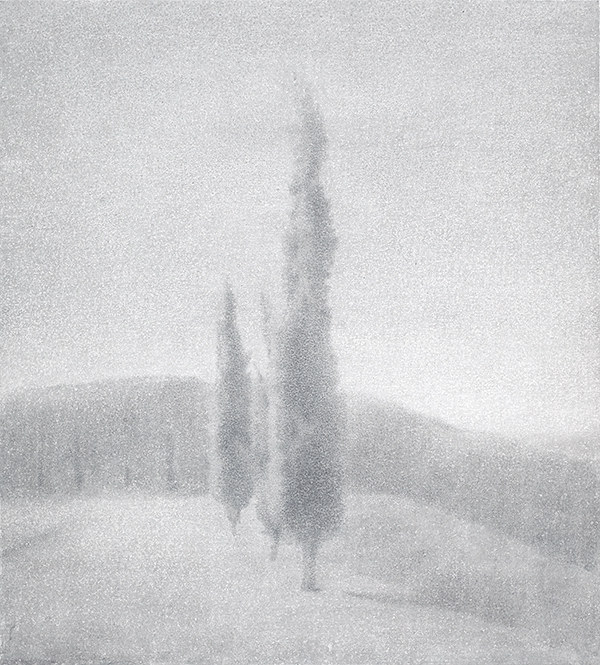 In celebrating our 30th anniversary, Alisan Fine Arts is pleased to present “Enchanted Seasons” a solo exhibition by Shanghai artist Leng Hong. 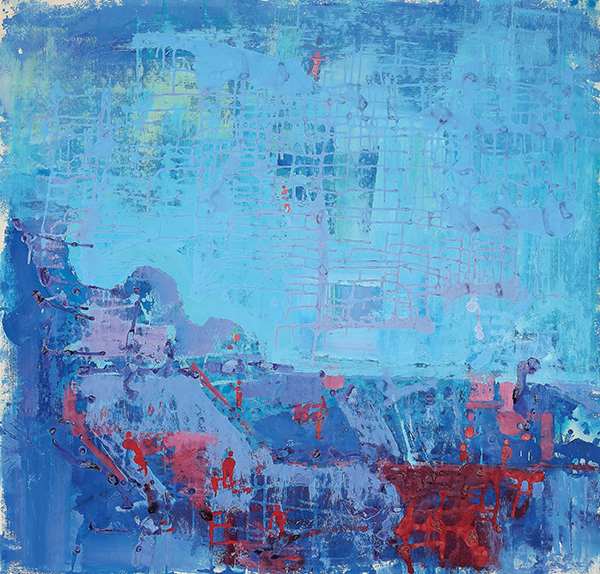 Around 20 of his most recent abstract landscapes from his “Blue Mountains, Green Water” series will be on display. 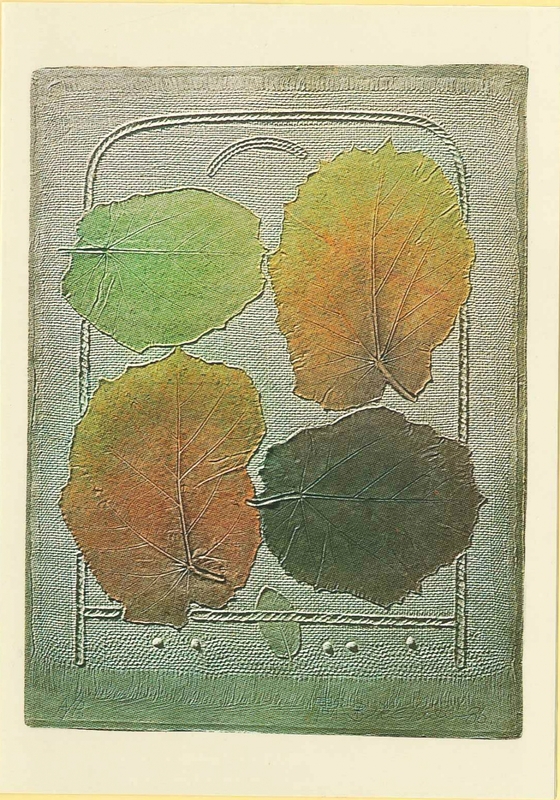 This series revolves around the four seasons: spring, summer, fall, winter, with an emphasis on spring. 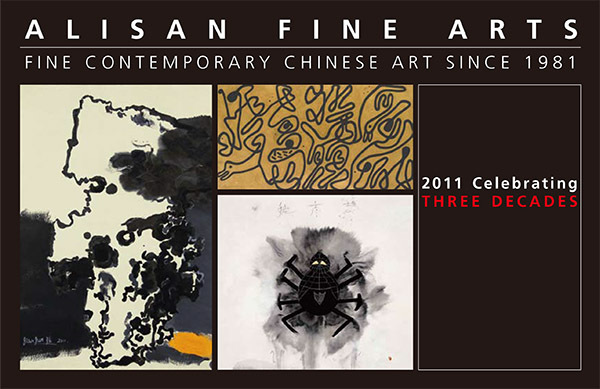 To launch its 30th anniversary celebration, Alisan Fine Arts (AFA) will join forces with the Asian Cultural Council (ACC) on May 12 to present a special exhibition of works by three artists working in ink who have been supported by fellowships from the ACC for their first visits to the United States on programs of cultural exchange. 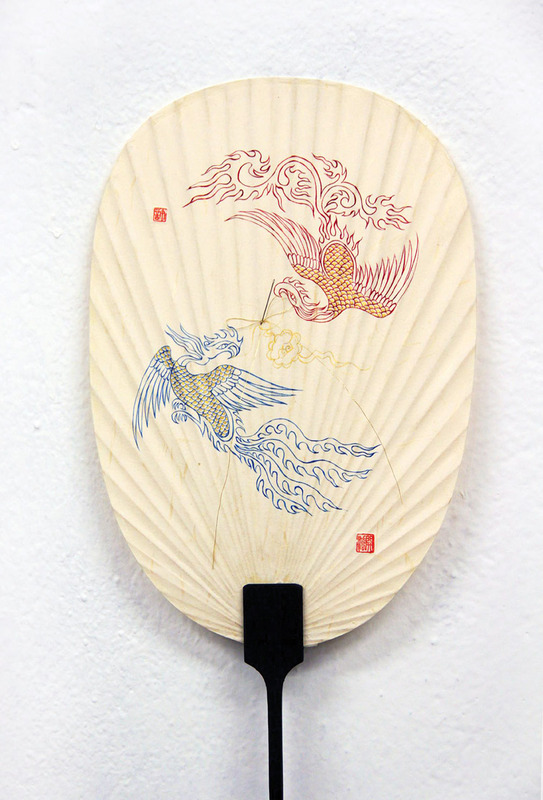 Alisan Fine Arts presents Lui Shou-kwan’s solo exhibition. 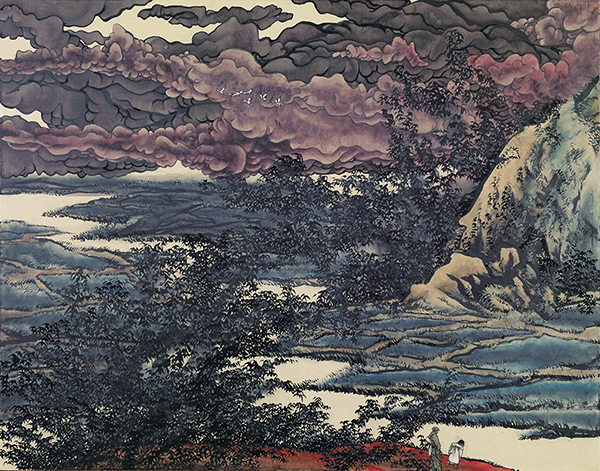 Ten paintings dated from 1963 – 1971 will be displayed, including his well-known “Zen painting” and “Zen lotus”, together with his Taiwan landscape and Hong Kong harbour scene. 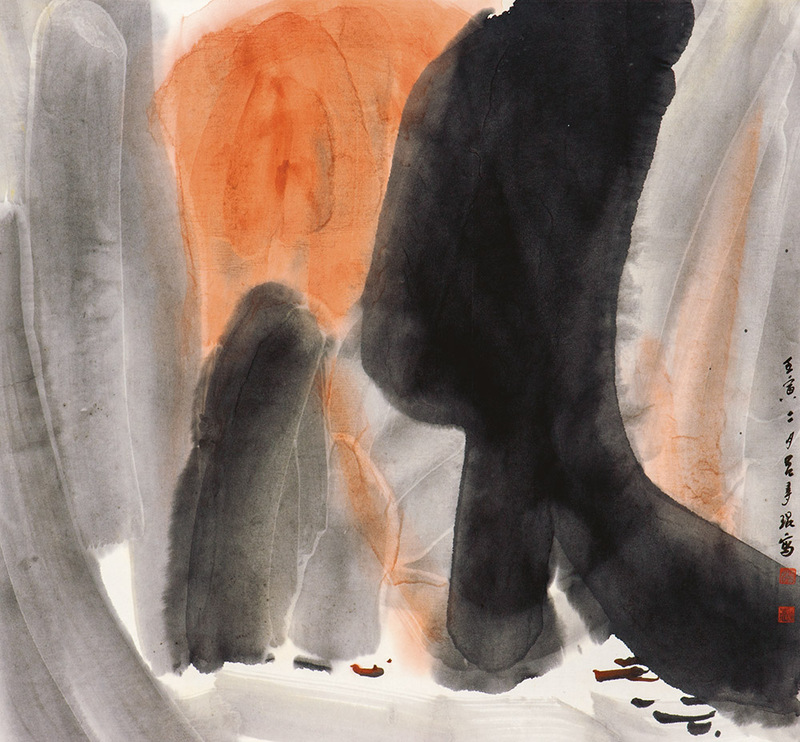 Alisan Fine Arts is proud to present a major show of world-renowned Chinese New York-based artist Walasse Ting (1928 – 2010) at Hong Kong Arts Centre, the Pao Galleries 5/F, from 16 to 22 November 2010. 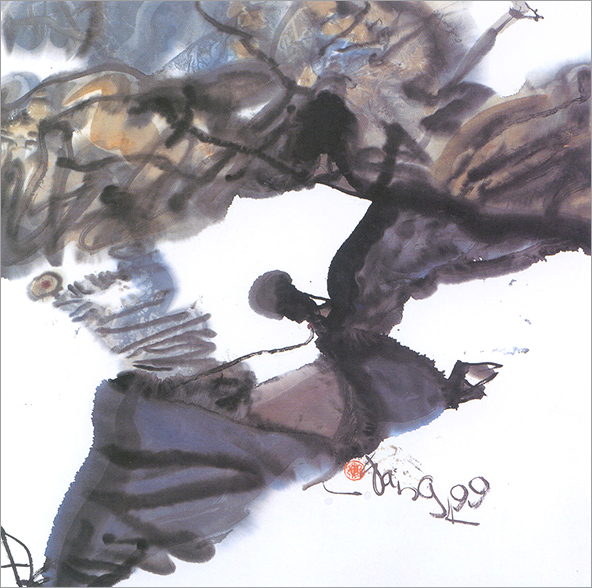 The last time Ting held a solo exhibition at Hong Kong Arts Centre was in 1993, 17 years ago. 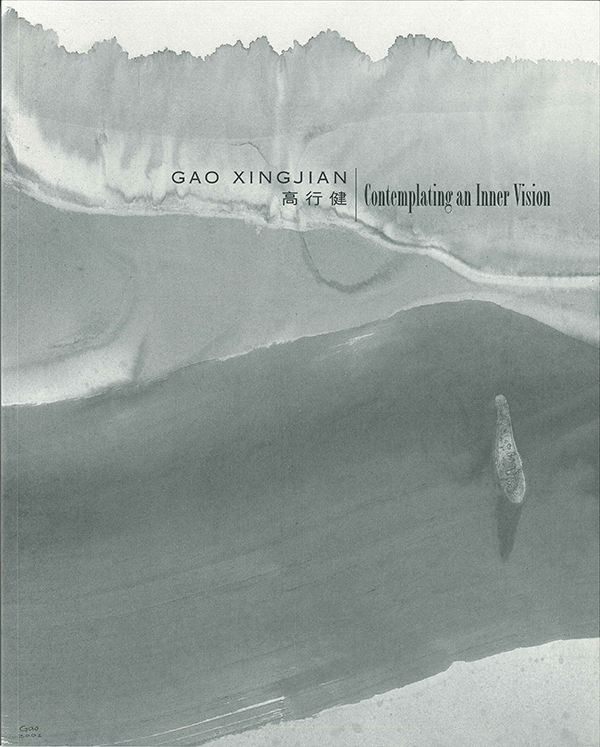 Alisan Fine Arts is honoured to present the exhibition of Chinese Paris-based artist, and 2000 Nobel Laureate Gao Xingjian. 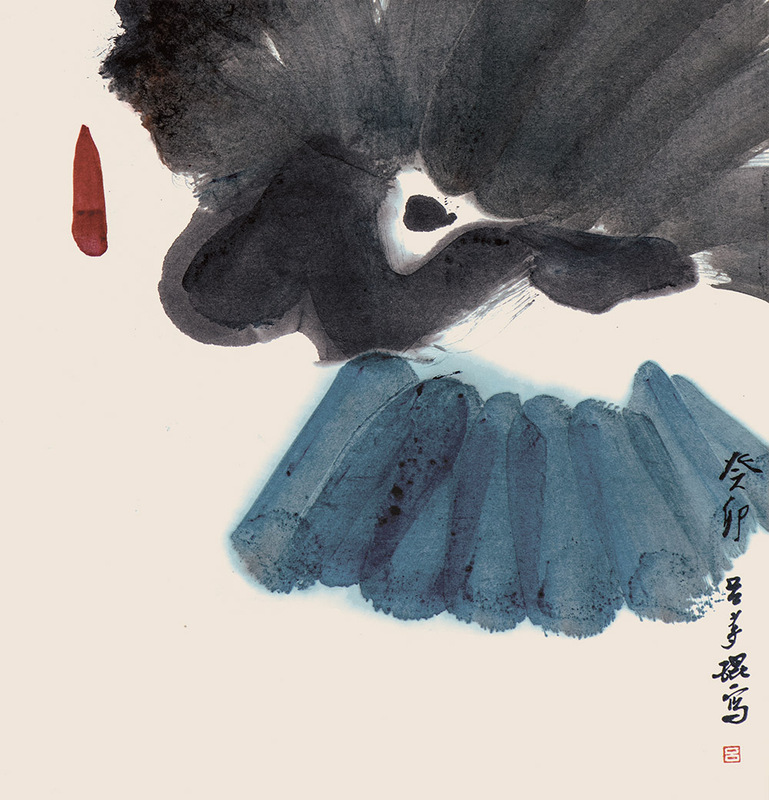 This exhibition consists of 11 new works, including 4 pieces of Chinese ink on canvas, which were finished in 2010, and 7 pieces of Chinese ink on paper. 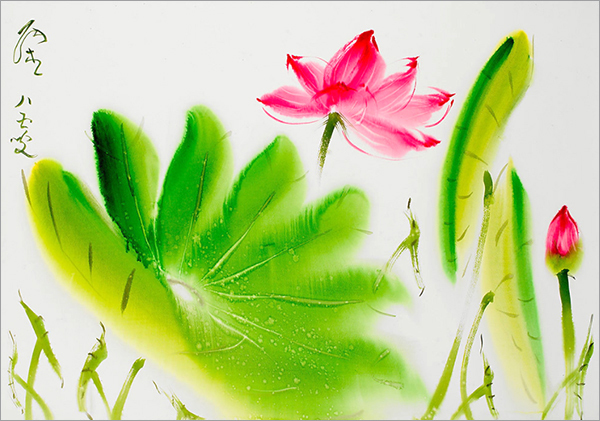 Alisan Fine Arts presents an exhibition on two international Chinese artists: Chinyee and Hsiao Chin. 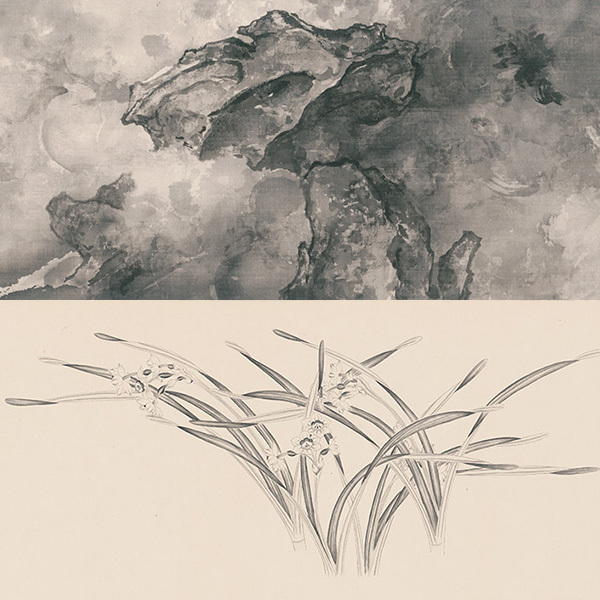 Alisan Fine Arts is pleased to present a group exhibition of three Chinese avant-guard ink painters -- Ding Yi, Shen Fan (both from Shanghai) and Yang Jiechang (Paris-based). 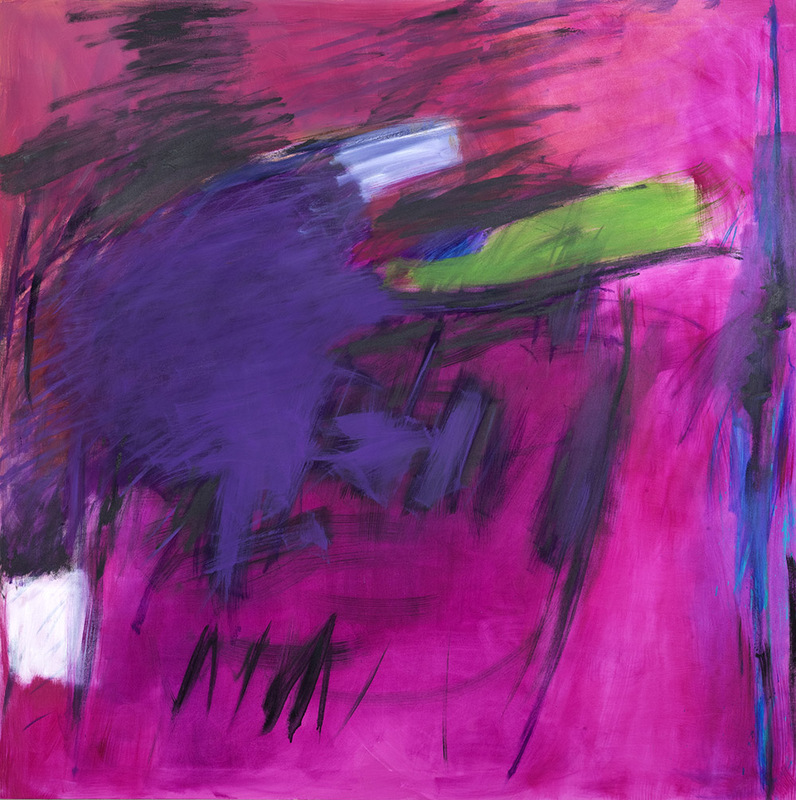 This exhibition consists of 18 abstract artworks spanning 1990-2005. 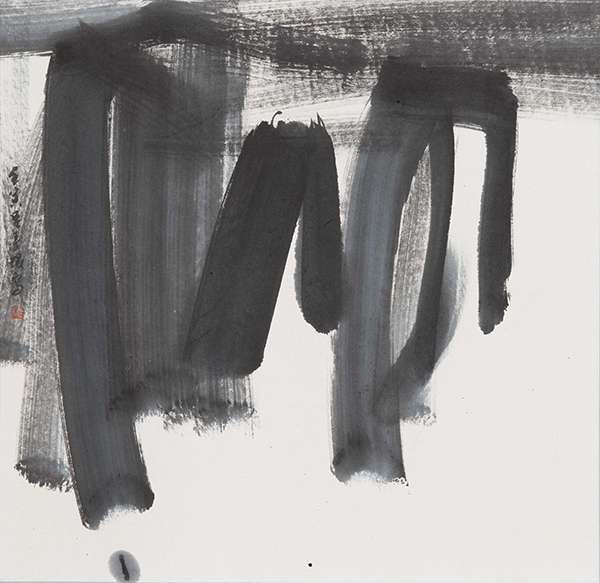 Executed in Chinese ink or oil on paper, acrylic or oil on canvas, the works reveal different ways in which the artists express ‘new ink art’. 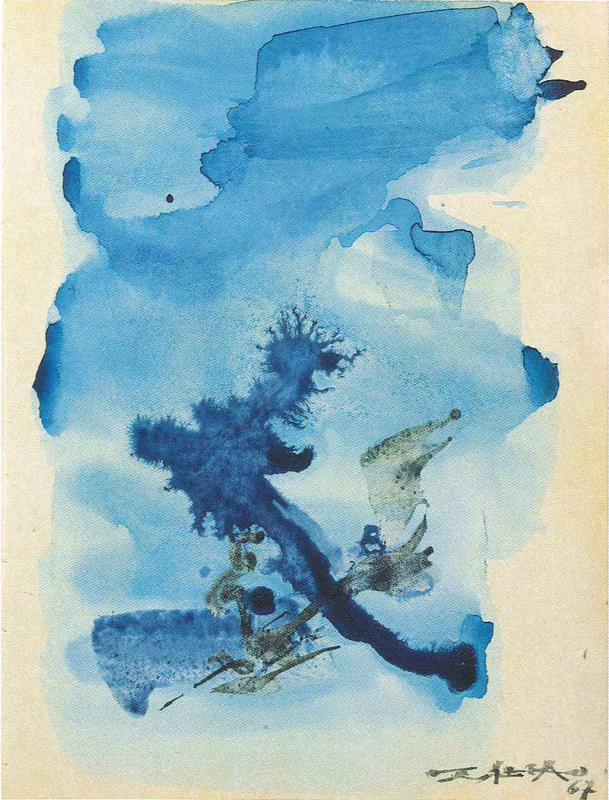 Zao Wou-ki, the world-famous Chinese-French artist living in Paris since 1948, has had an endless flow of solo exhibitions punctuated with numerous retrospectives. 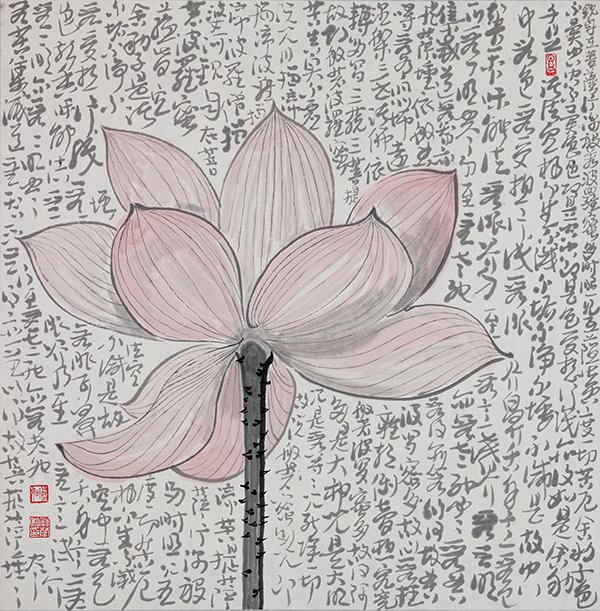 Alisan Fine Arts is pleased to present a group exhibition of two Chinese contemporary calligraphers--Wei Ligang and Yang Xiaojian. 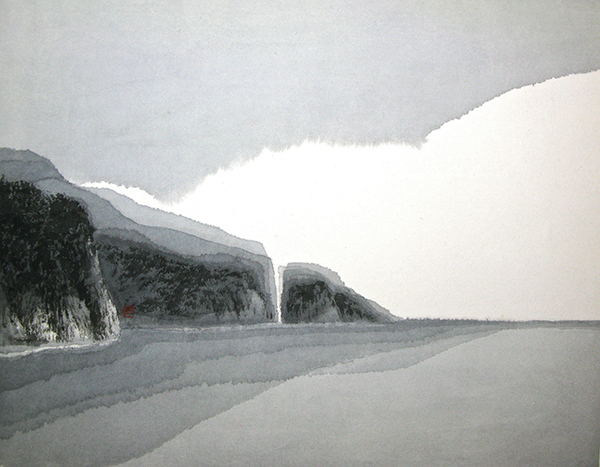 Alisan Fine Arts is pleased to present Scenic Sensibilities, an exhibition of Chinese ink and colour on paper by 6 artists: Koo Mei (Hong Kong), Chang Chieh (Taiwan), Chu Ko (Taiwan), Lo Ch’ing (Taiwan), Bo Yun (Beijing), and Lee Chue Shuek (Hong Kong), six totally different unique and modern styles of landscape paintings. 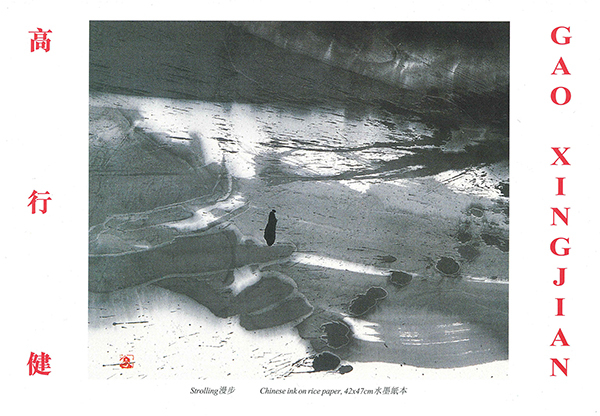 Chinyee, Gao Xingjian, Pat Hui & Wucius Wong. 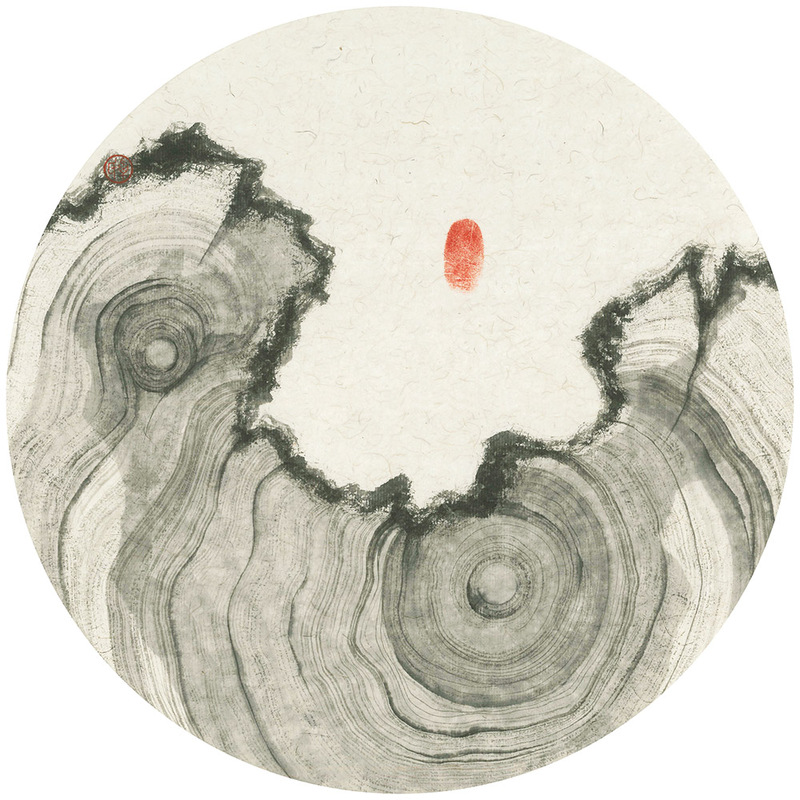 Alisan Fine Arts is pleased to present a group exhibition of four contemporary ink artists--Chinyee, Gao Xingjian, Pat Hui & Wucius Wong. 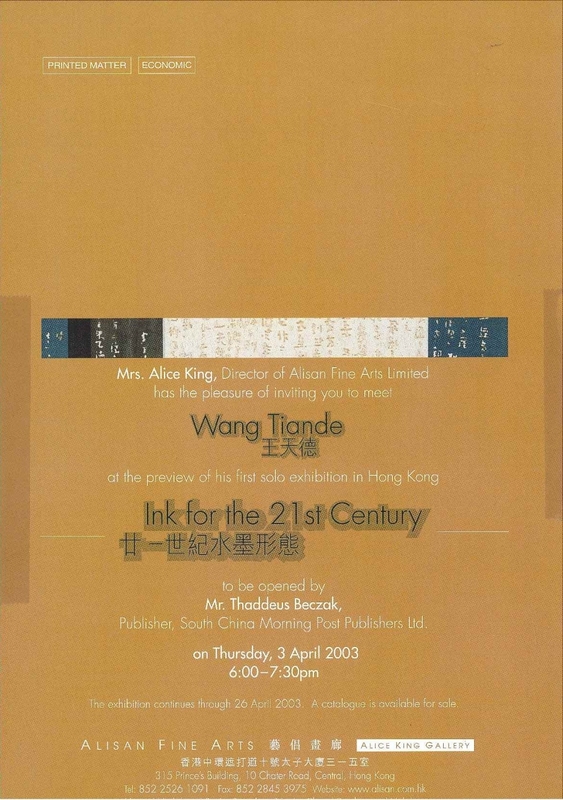 Alice King, director of Alisan Fine Arts cooperates with Hong Kong Museum of Art to present the “New Ink Art: Innovation and Beyond”, as an important exhibition in the “Hong Kong Art: Open Dialogue” exhibition series running from 2008 to 2009. 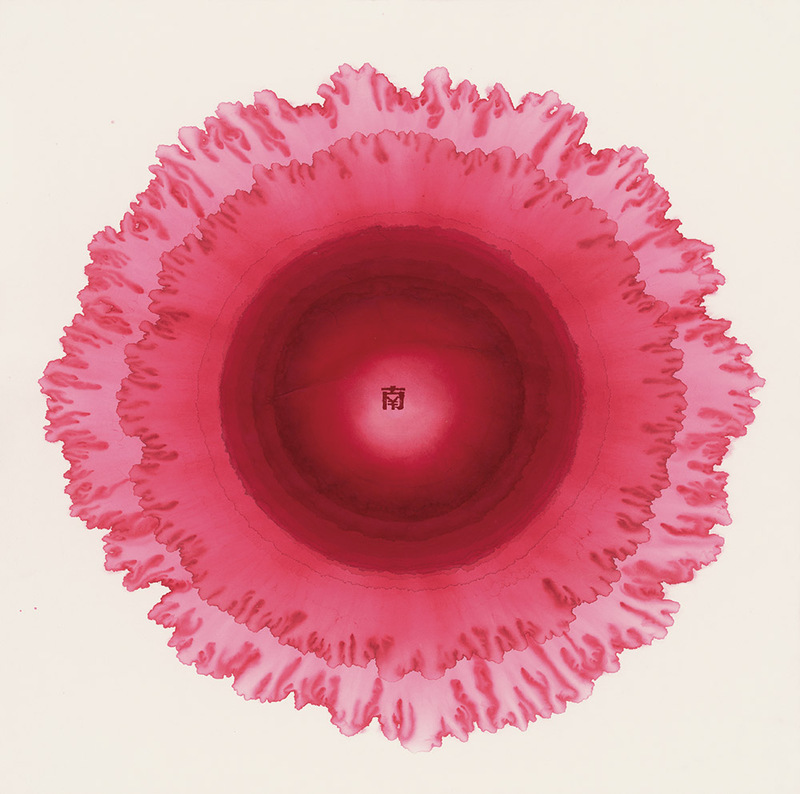 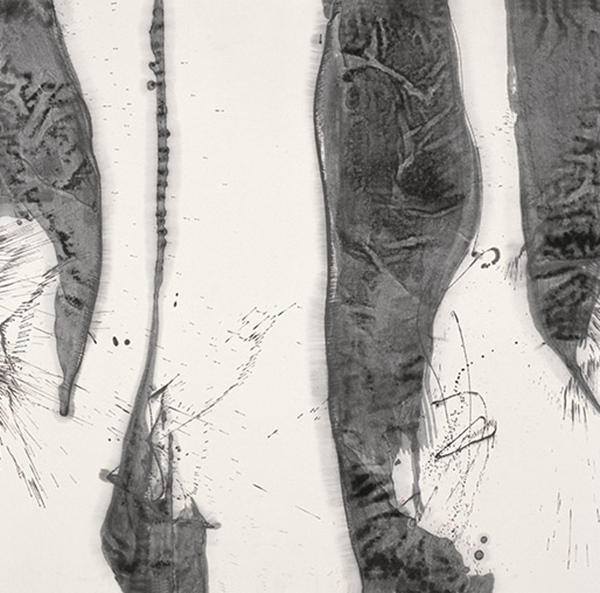 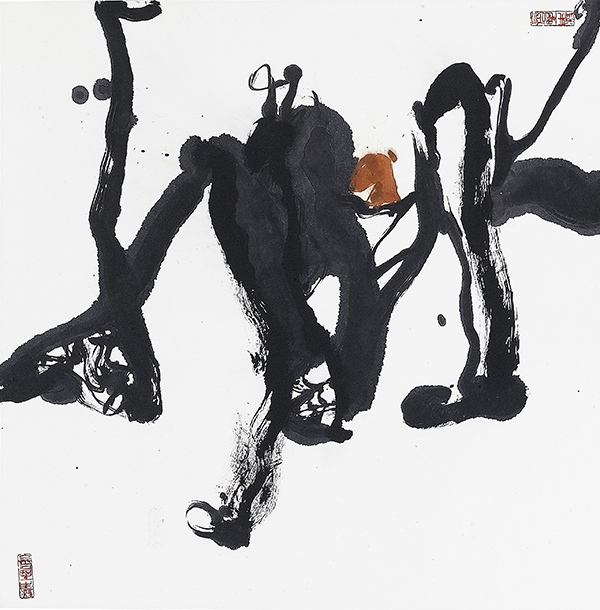 Alisan Fine Arts is pleased to present "Abstracted Visions", a group exhibition of two Chinese contemporary ink artists--Wang Chuan and Jiang Dahai. 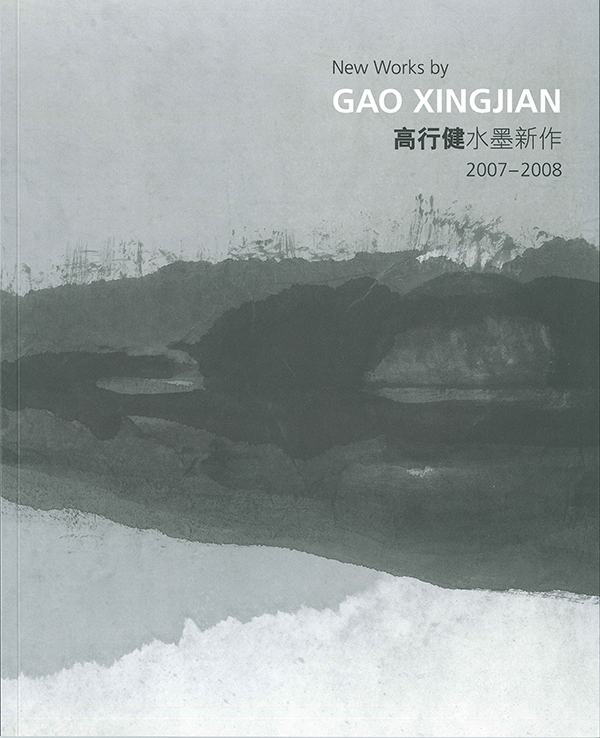 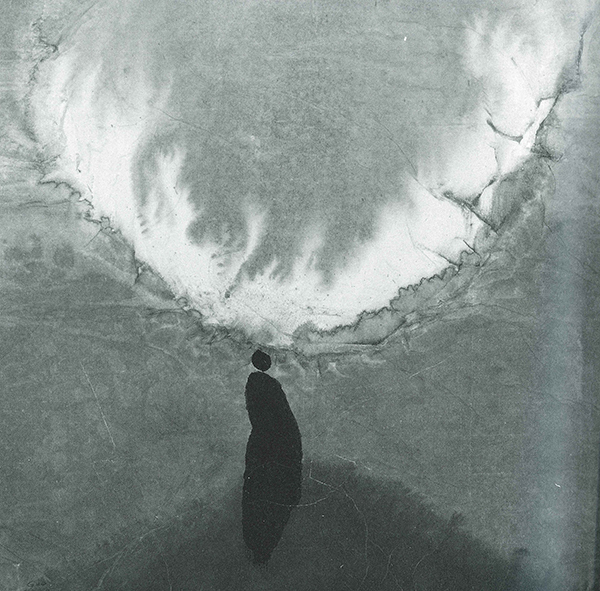 Alisan Fine Arts is pleased to present the gallery’s fifth solo exhibition for Gao Xingjian. 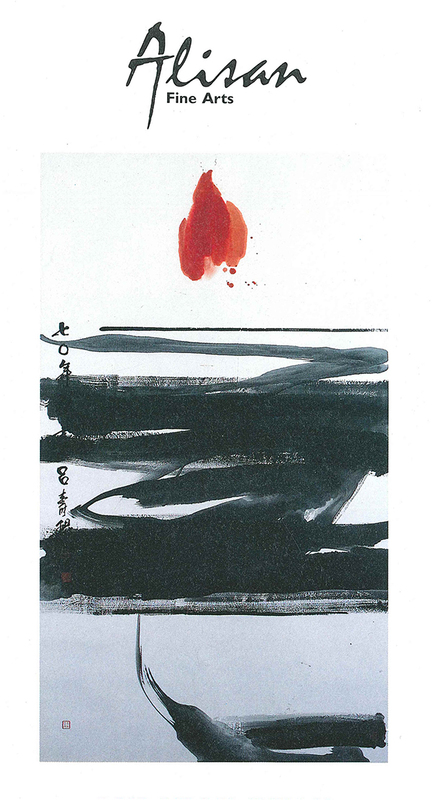 Coinciding with the Gao Xingjian Arts Festival organised by the Chinese University of Hong Kong, Alisan Fine Arts is joining once again in celebrating Le French May Festival 2008 by presenting 25 new ink works by Gao Xingjian that span from 2007-2008. 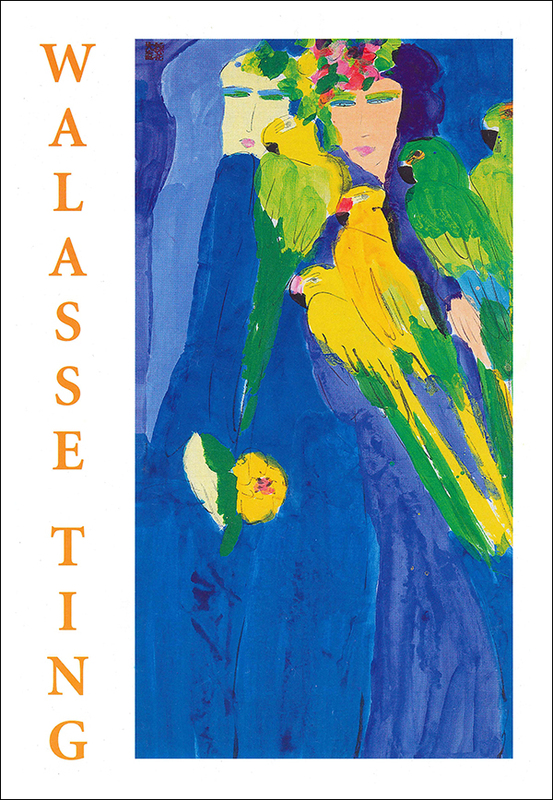 Alisan Fine Arts is honoured to present its tenth exhibition of the world-renowned artist Walasse Ting. 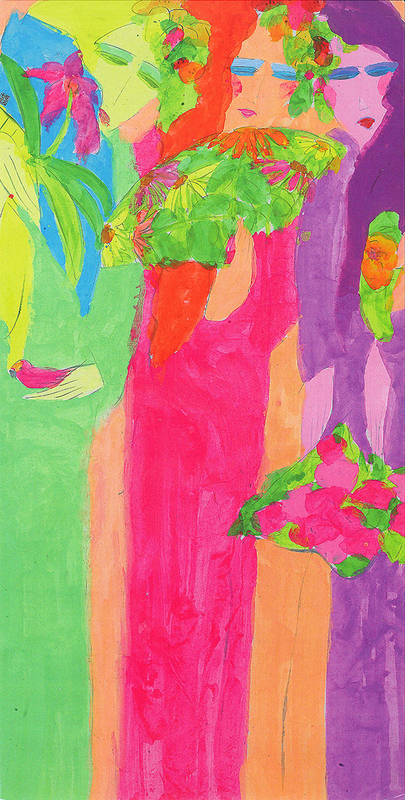 The exhibition will display 25 artworks. 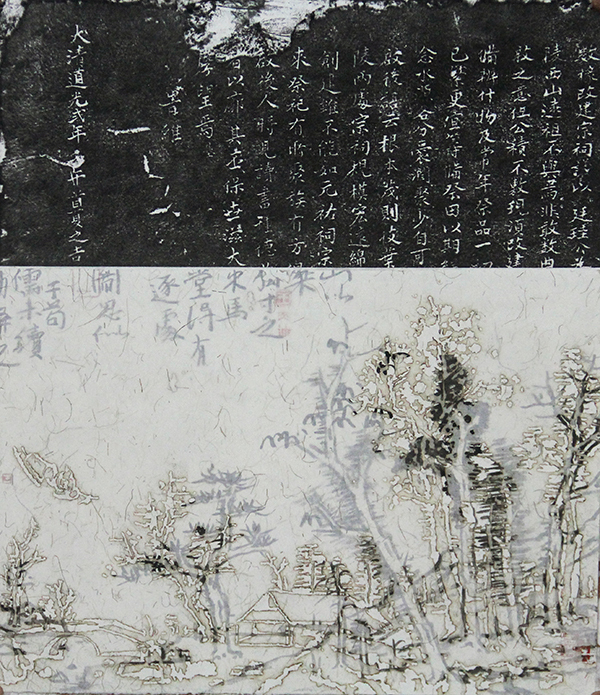 Alongside the artist’s noted vibrant colours, his black and white work on rice paper will also be exhibited. 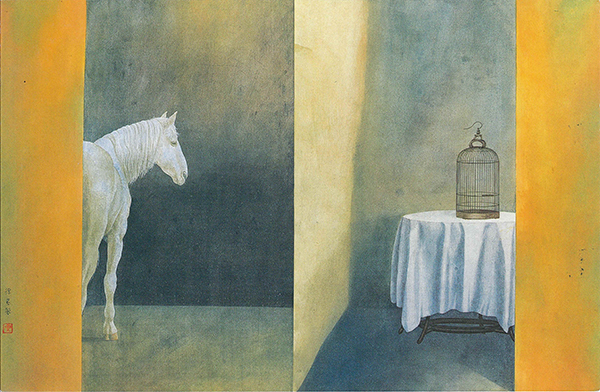 Both are equally appreciated by connoisseurs and collected by major museums around the world. 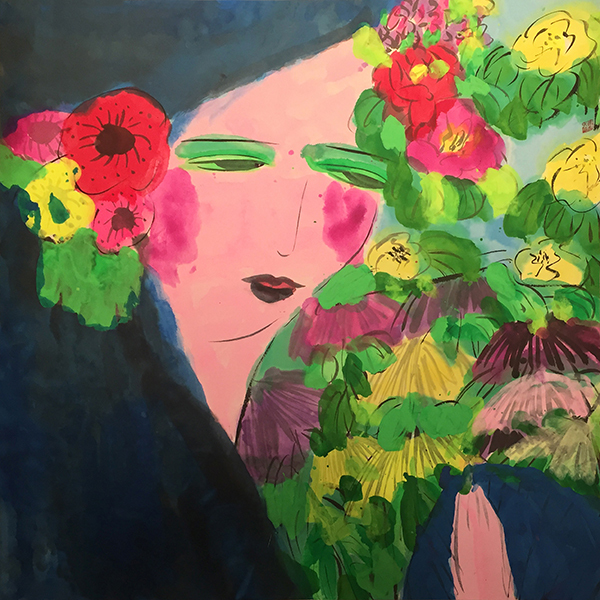 In celebration of International Women’s Week Alisan Fine Arts will be presenting the works of 7 Chinese women artist during the month of March. 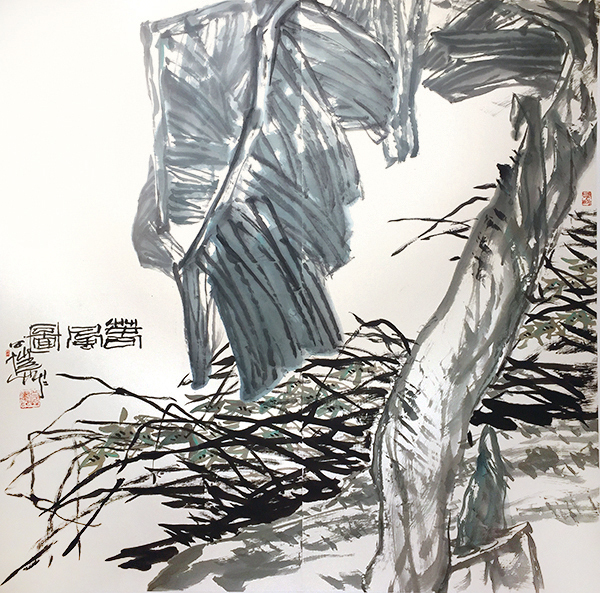 Alisan Fine Arts is pleased to present a group exhibition of two Chinese contemporary ink artists--Yang Jiechang and Wei Ligang. 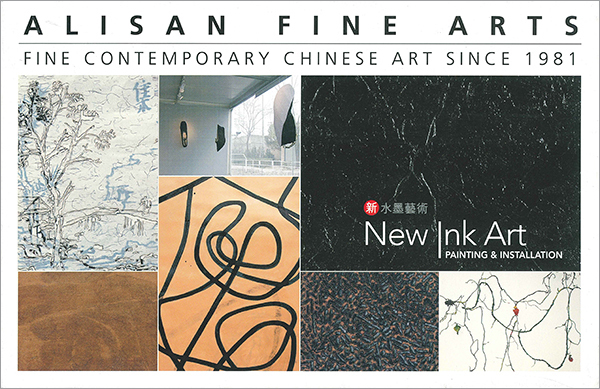 Alisan Fine Arts is pleased to present the ‘Summer Festival of New Ink Art’, an exhibition of abstract Chinese ink paintings during the months of July and August. 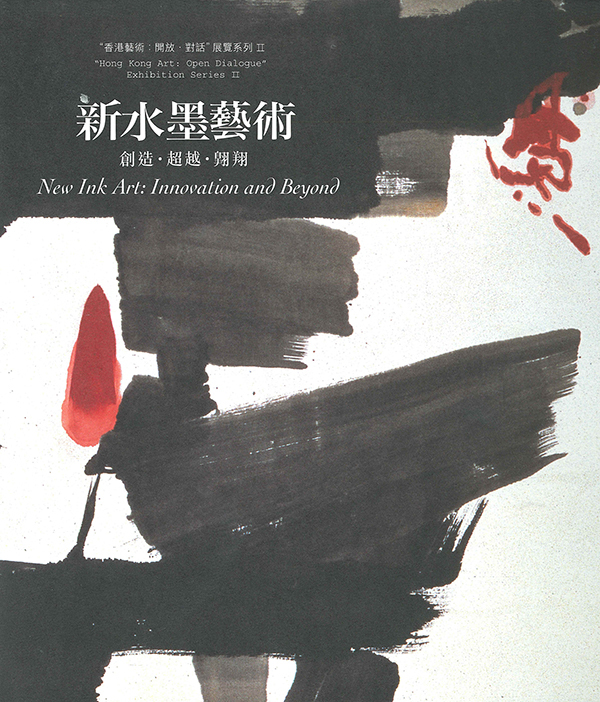 The exhibition explores the new trend of ink art development from Mainland China and overseas. 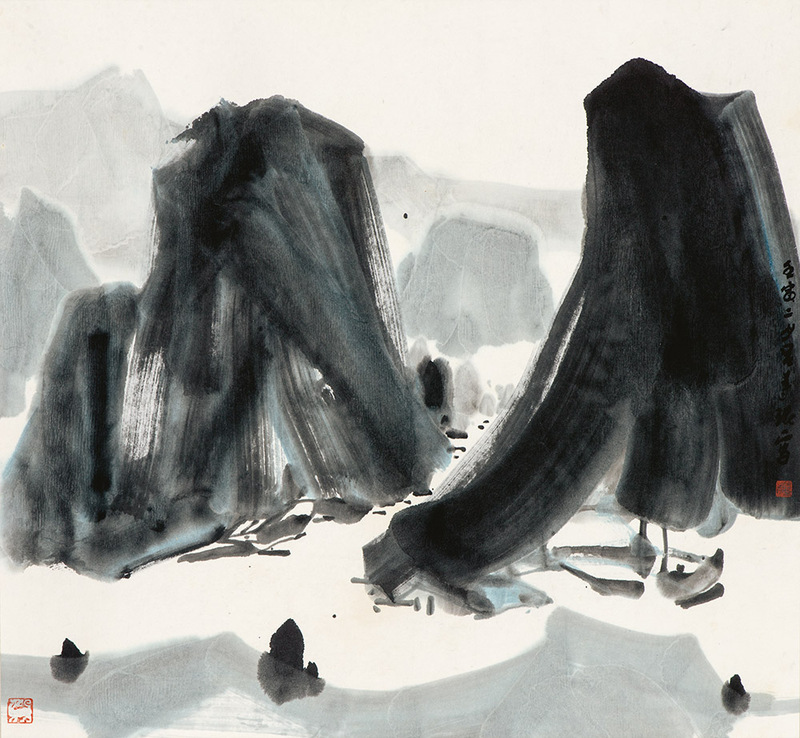 Alisan Fine Arts will be holding a second solo exhibition for Wang Tiande, the innovative Chinese avant-garde ink painter and scholar from Shanghai. 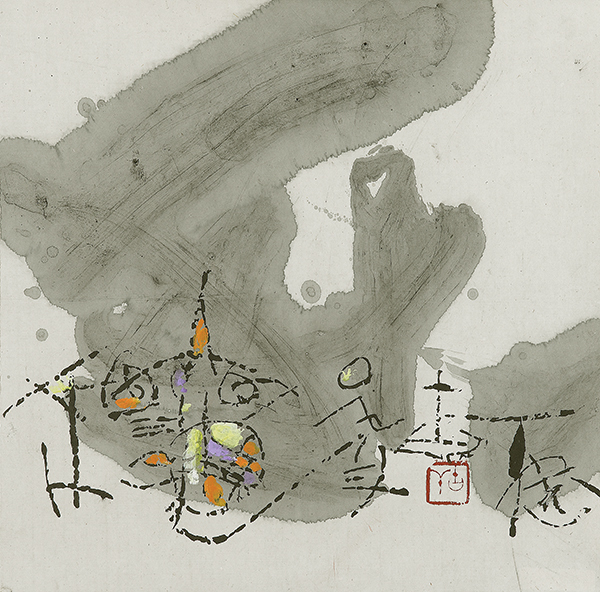 The exhibition consists of 29 Chinese clothes in silk with ink and burn marks. 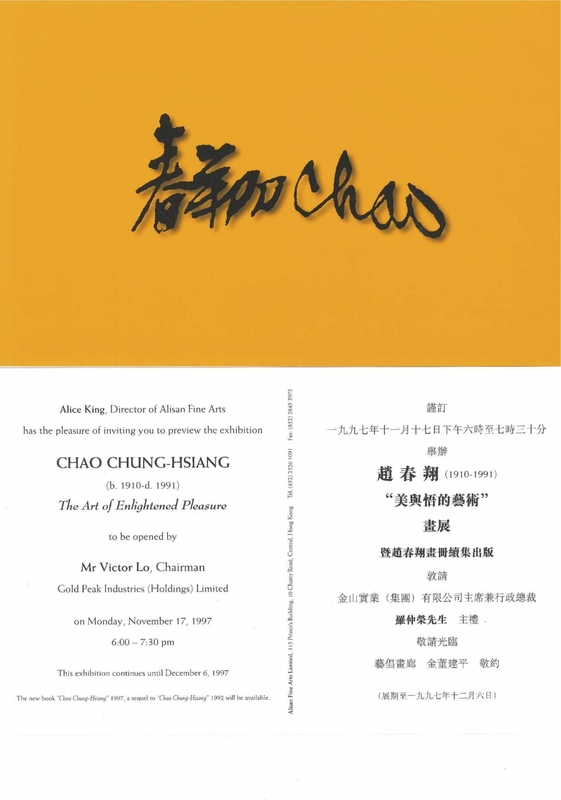 Alisan Fine Arts proudly present "Fish & Chao Chung-hsiang". 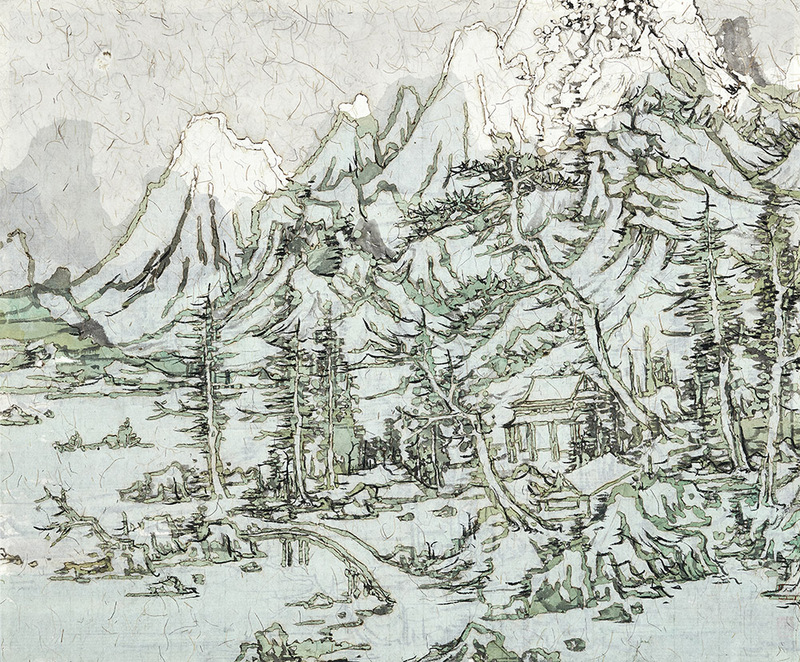 Alisan Fine Arts is proud to present New York-based Shanghai artist Kong Baiji's recent work, an exhibition displaying 30 works of "Oil on Rice Paper"with various genres including, landscape, still life, portrait, and Bodhisattvas. 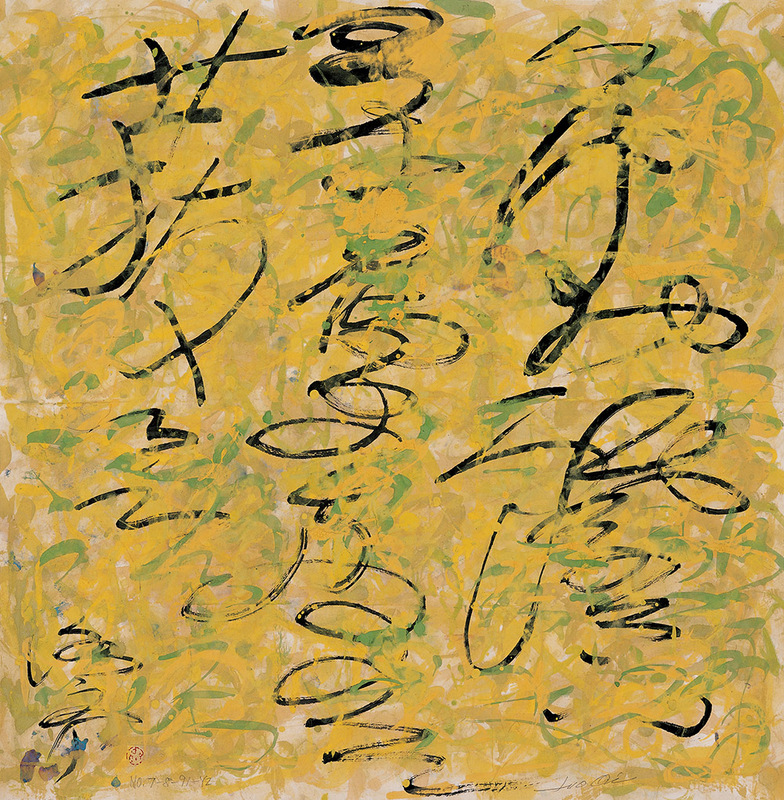 Alisan Fine Arts is pleased to present “Painterly Calligraphy, John Way,” from 16 Mar to 8 April 2006, featuring around 15 paintings by John Way, a Shanghai-born (1921) San Francisco-based artist, dated from 1974 to 1998. 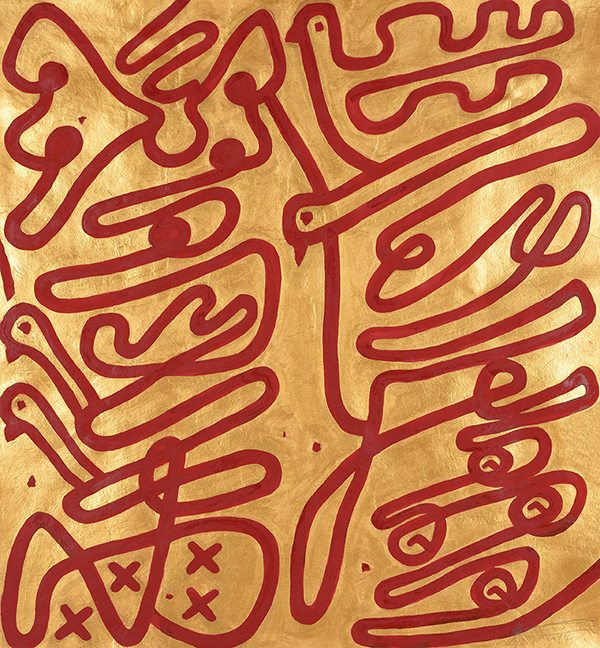 His exhibition of calligraphy and oil painting will be at the Honolulu Academy of Arts, Hawaii, USA from May 4 to July 2. 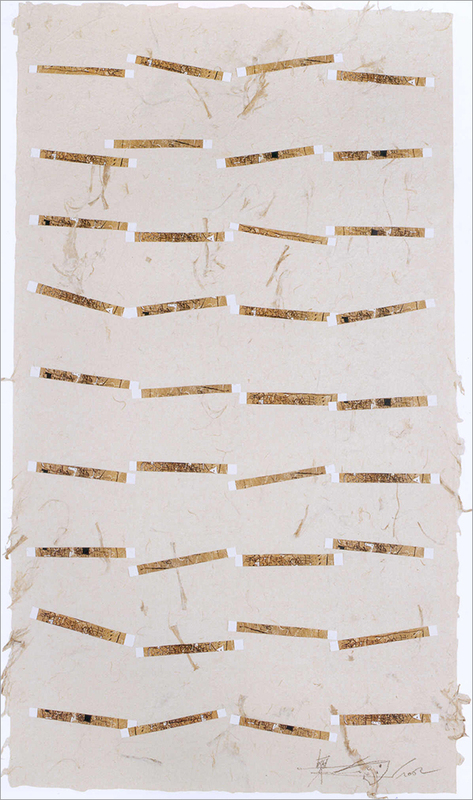 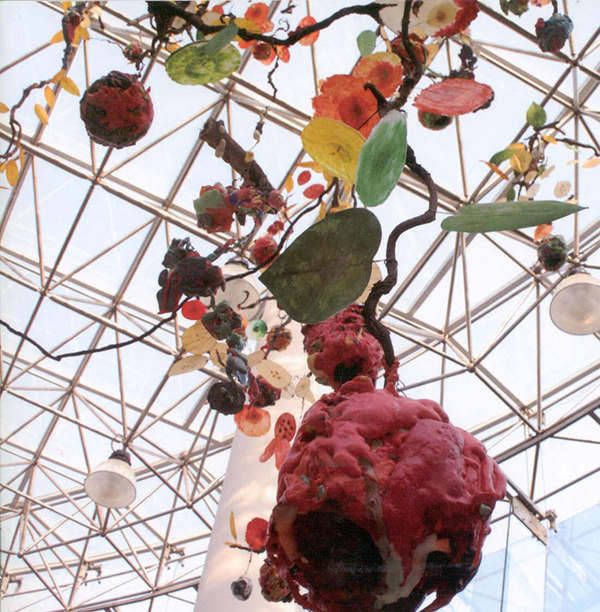 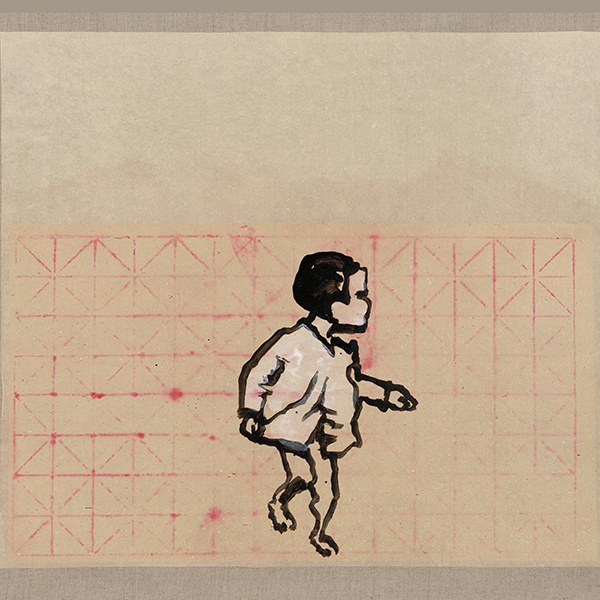 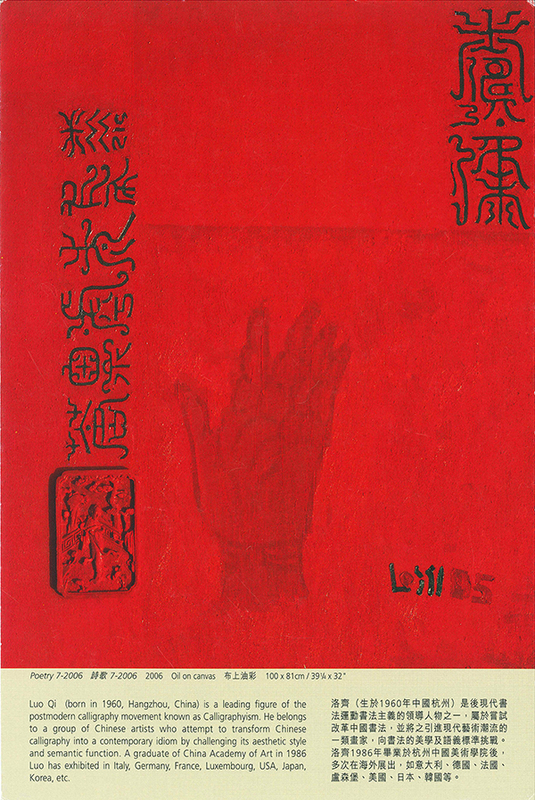 Alisan Fine Arts is proud to present “Recent Work, Fung Ming Chip” from the 10th to the 28th of February as a fringe program of the Hong Kong Art Biennial Exhibition 2005-06. 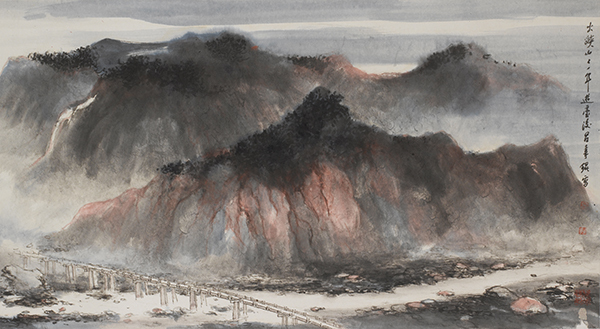 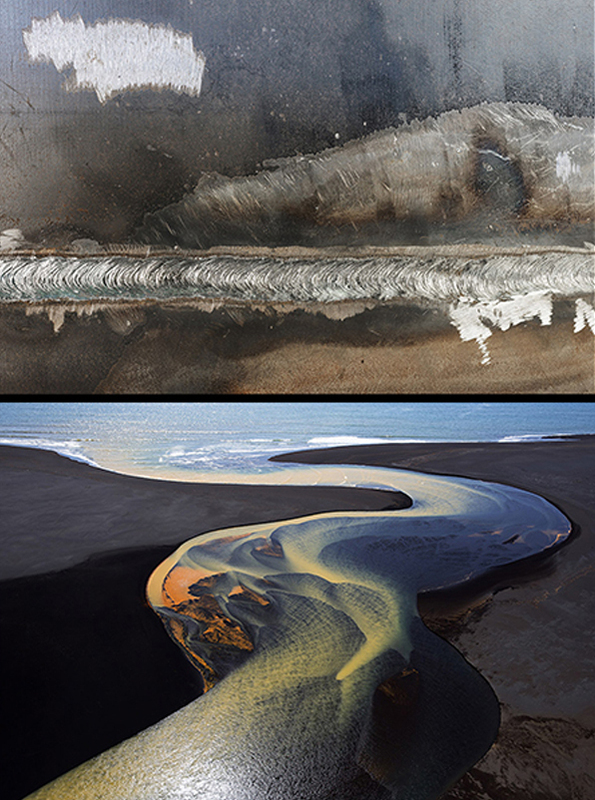 This exhibition displays more than 20 of Fung’s works, including four from the most recent airplane landscape series. 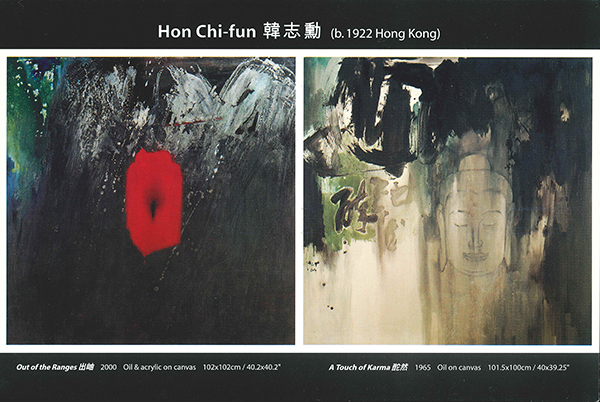 Alisan Fine Arts proudly presents "HK Icon: Hon Chi-fun". 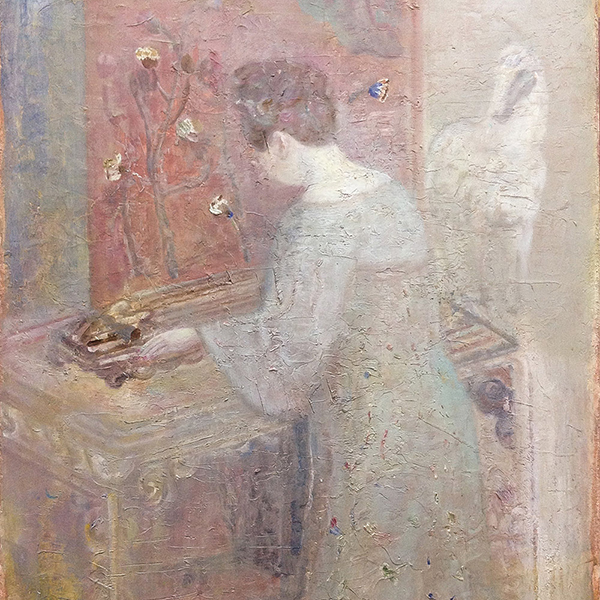 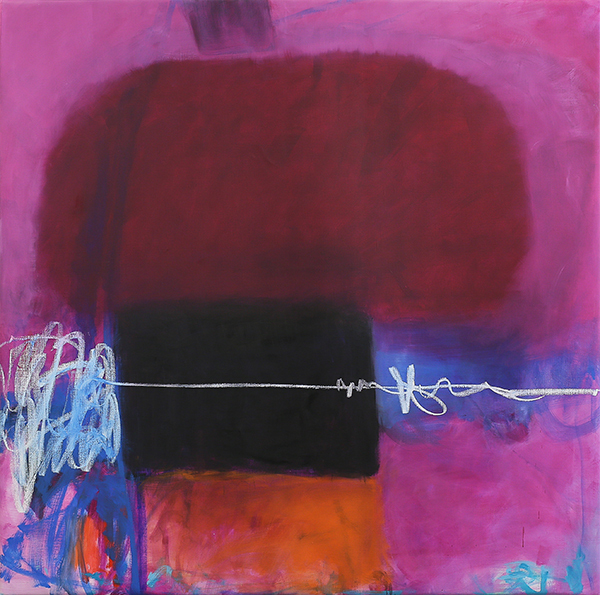 This exhibition includes of Hon's 30 works in oil on canvas & acrylic on canvas from 1950's to 2005. 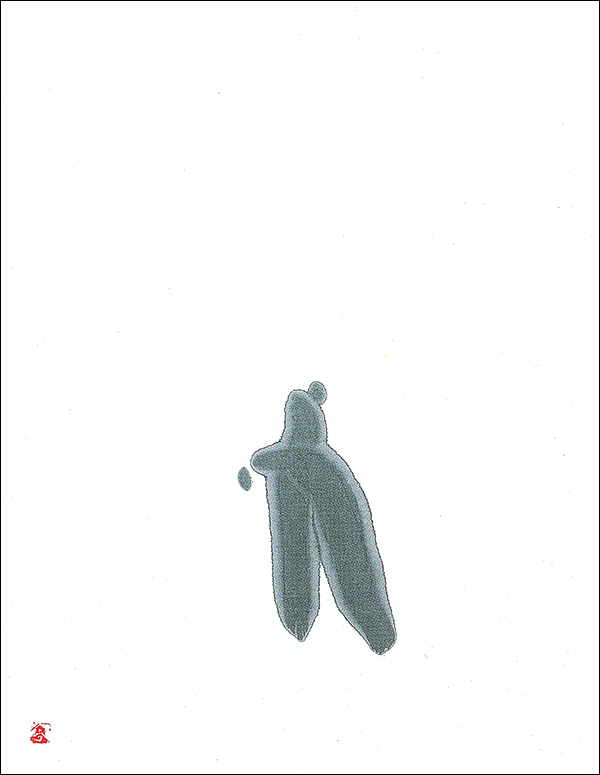 Hon (b. 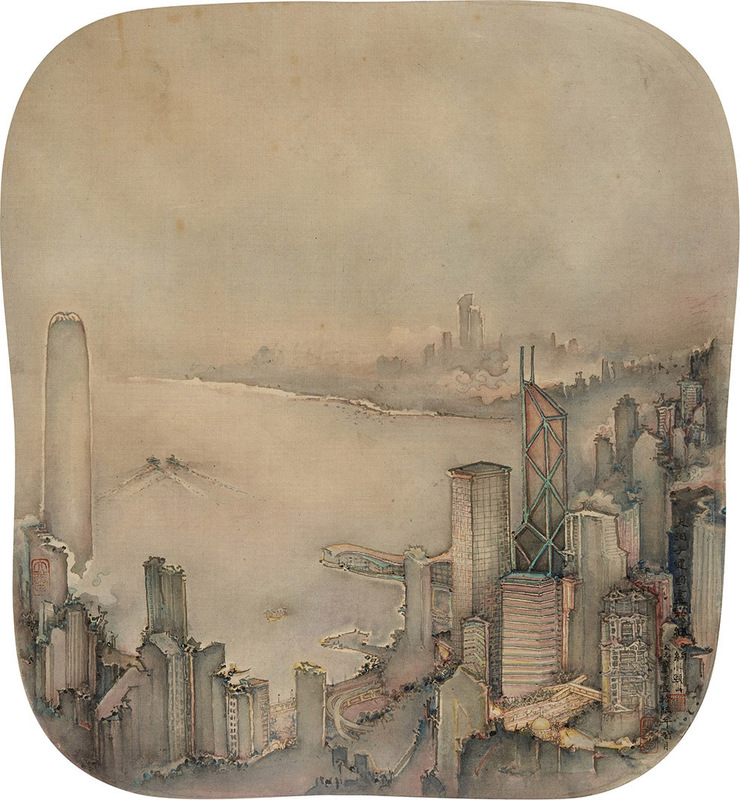 1922 Hong Kong) is one of Hong Kong's great masters who still playing an active part in art scene. 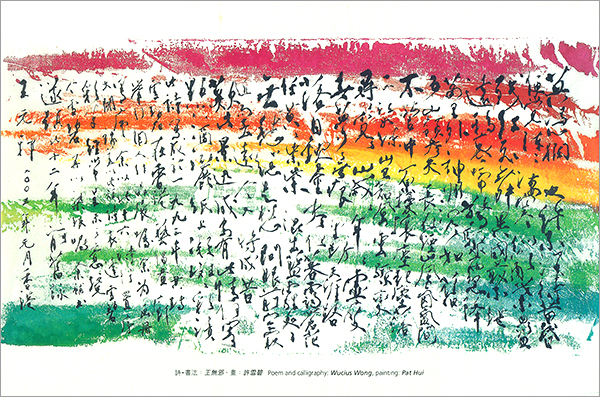 Alisan Fine Arts is organising an exhibition of "Poetry/Caliigraphy/Painting, Wucius Wong & Pat Hui" from 3 March - 20 March, 2005. 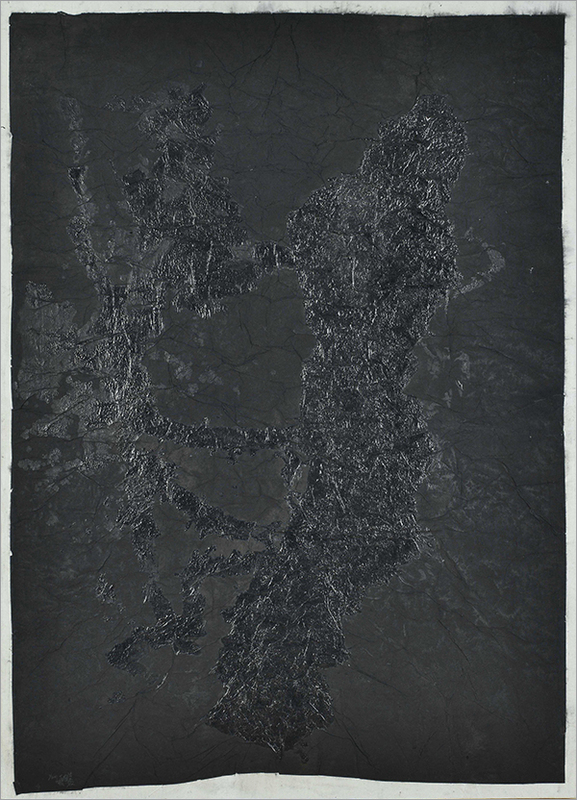 Alisan Fine Arts is honoured to present Gao Xingjian’s first solo exhibition in New York City since he won the Nobel Prize in Literature. 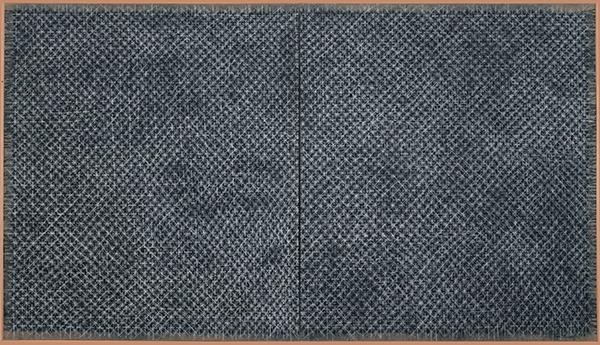 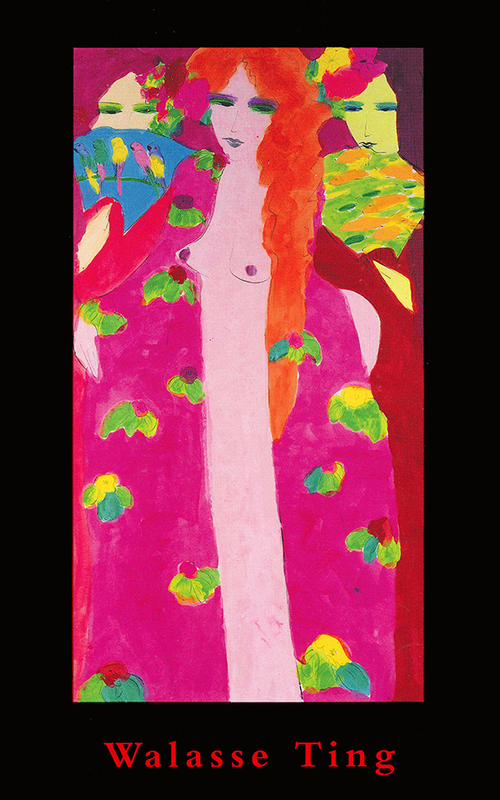 Held at Artemis Fine Arts, New York, the exhibition will showcase 29 paintings created between 2001 and 2003. 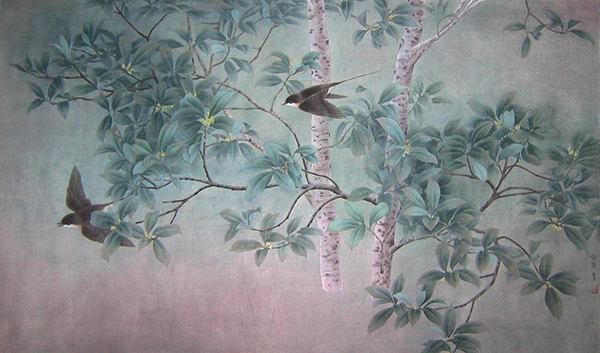 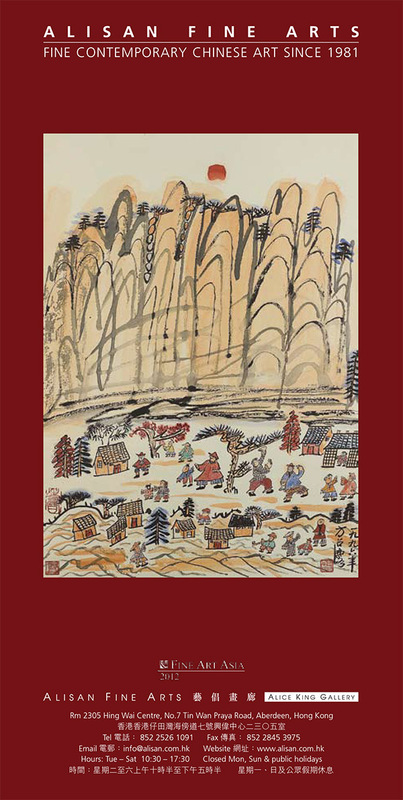 From March to October 2004, Alisan Fine Arts presents a travelling exhibition of paintings by Chao Chung-hsiang(1910-1991). 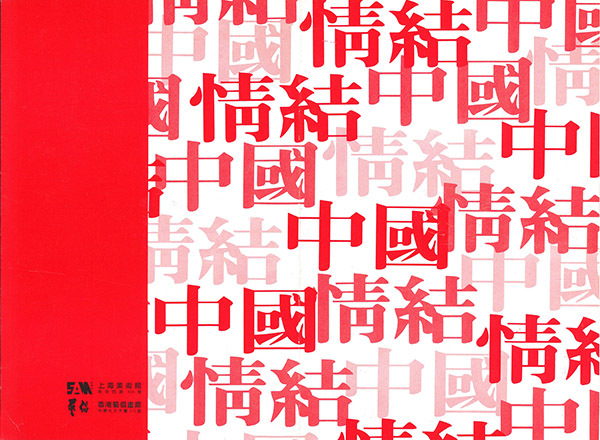 The destinations includ Taipei, Beijing, Shanghai, Paris and Hong Kong. 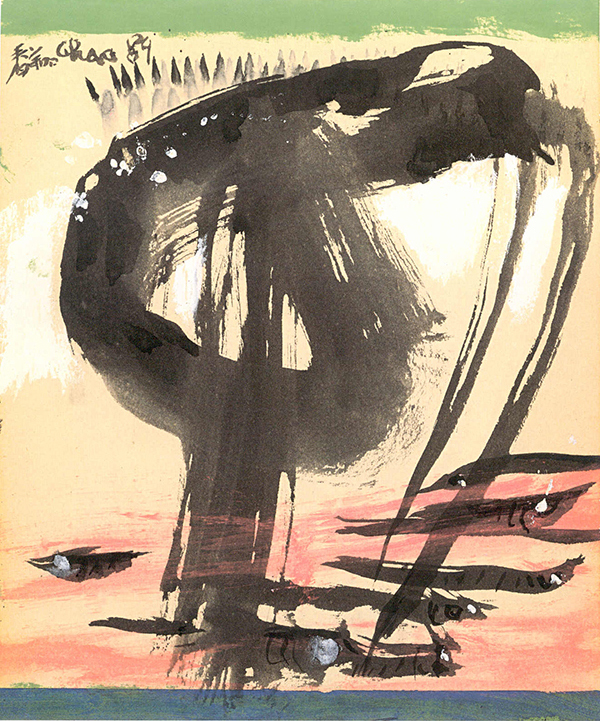 The exhibitions consist of over 80 works by Chao painted from the mid 1950s to the late 1980s and catalogues are being produced. 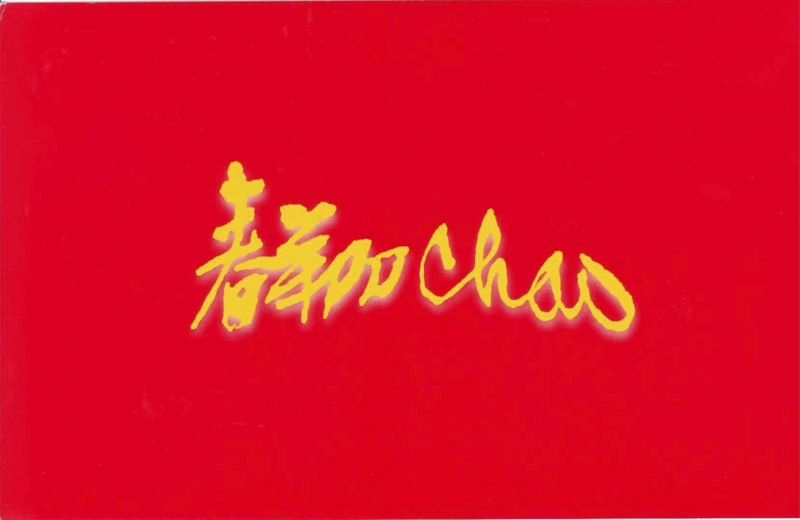 This will be Chao's first show in Beijing. 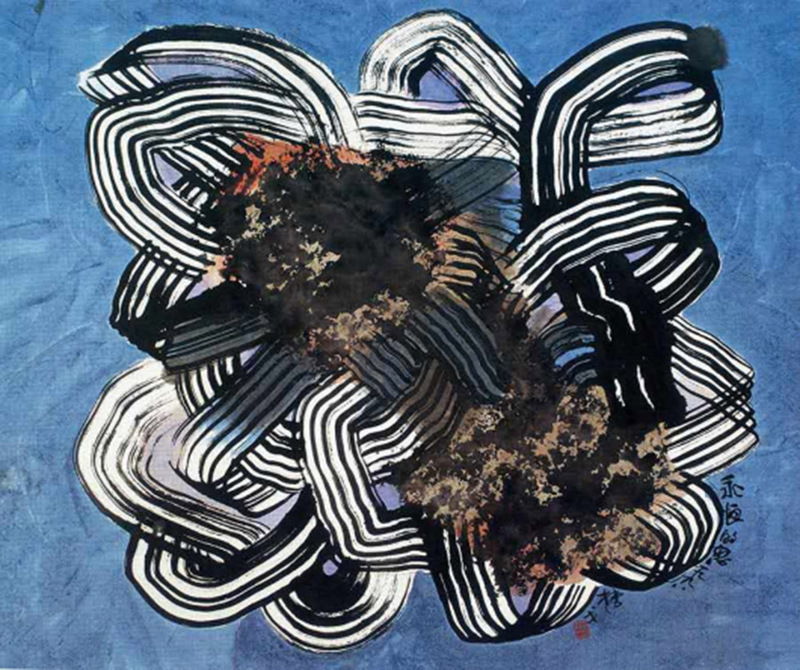 During the months of November and December, Alisan Fine Arts will be showing twenty-six paintings by Tseng Yuho, in its first exhibition for this internationally acclaimed artist, distinguished scholar and educator, that have come from her 2002 retrospective at the National Museum of History in Taipei. 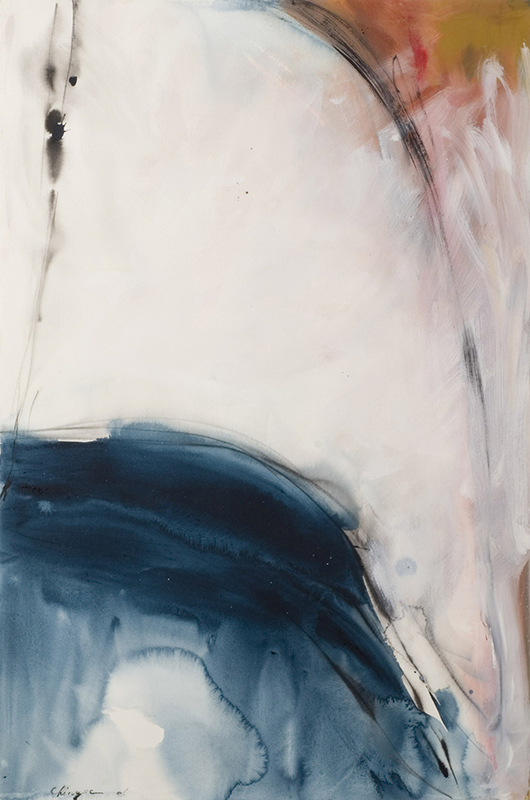 During the months of September and October, Alisan Fine Arts is delighted to be showing the watercolours and some early oil paintings by Zao Wou-ki. 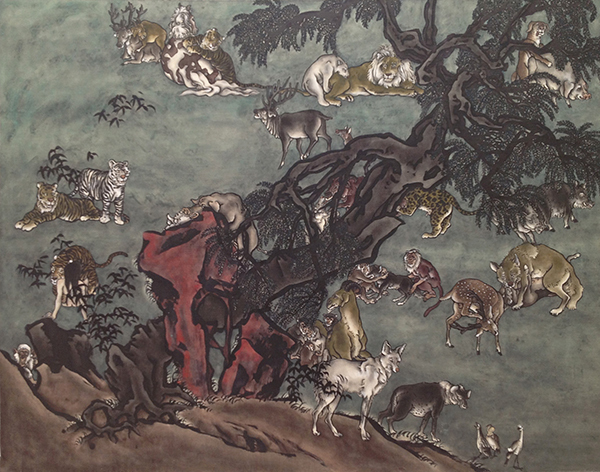 In the first solo exhibition in Hong Kong for this exciting young ink painter and scholar, Alisan Fine Arts will be showing twenty-eight paintings by Wang Tiande. 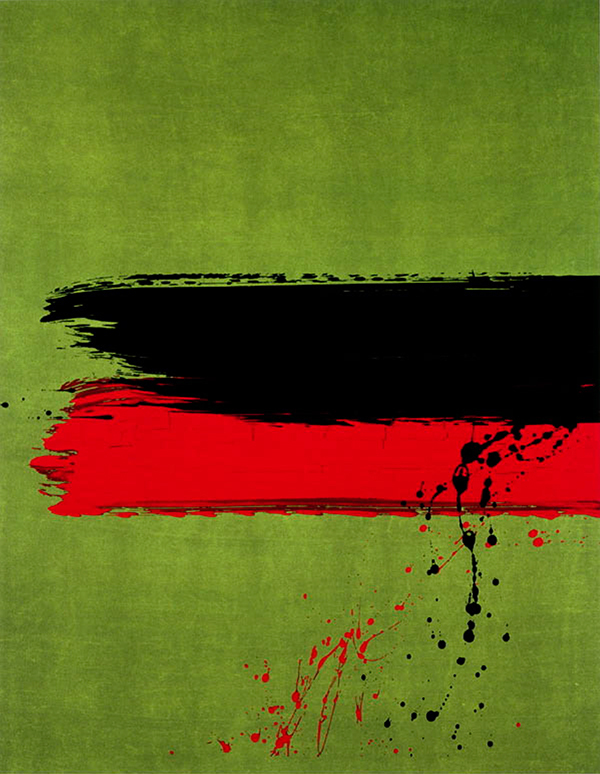 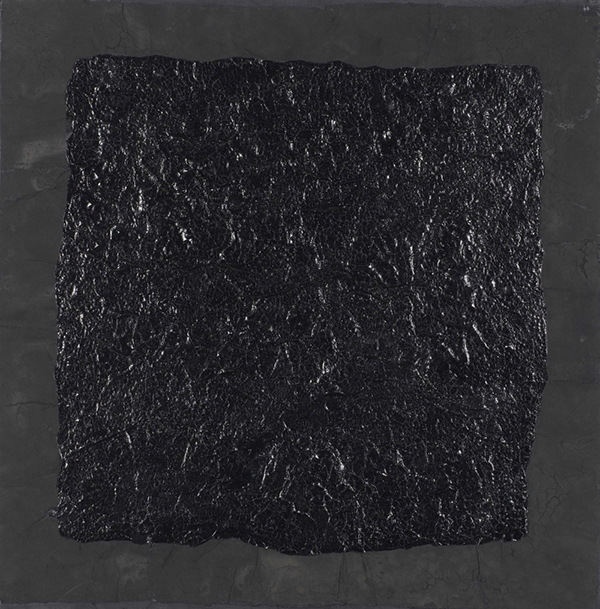 Alisan Fine Arts is pleased to present the gallery’s third solo exhibition for Gao Xingjian presenting 19 paintings created between 1998 and 2001. 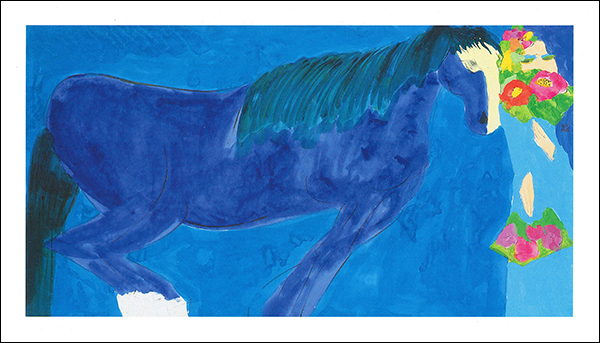 Alisan Fine Arts is honoured to present the solo exhibition of the world-renowned artist Walasse Ting. 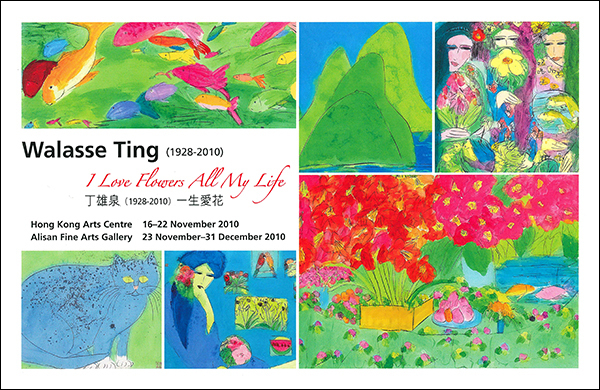 Ting’s famous subjects: alluring ladies, bright pink flowers, yellow birds, colourful fish, cats, gorses, and florescent green landscape, reflect his joy of life, love and beauty. 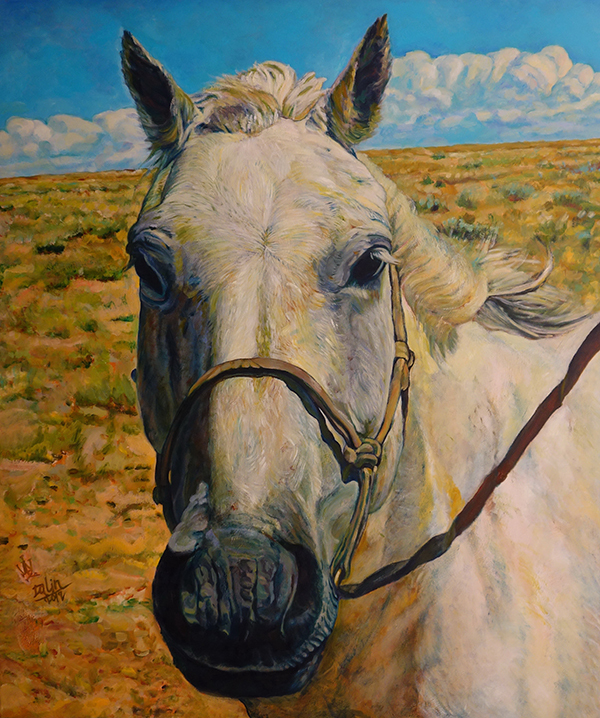 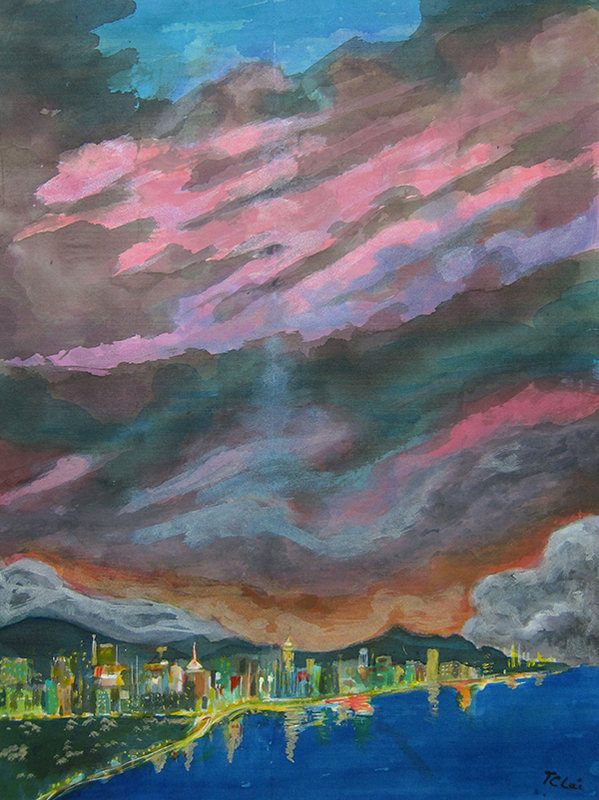 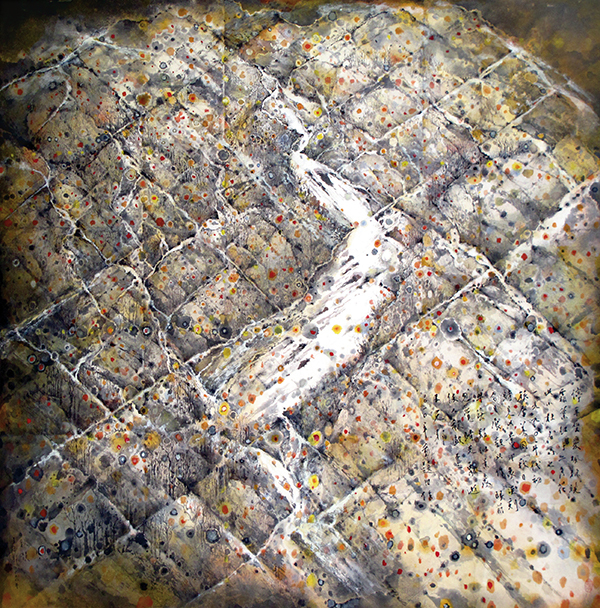 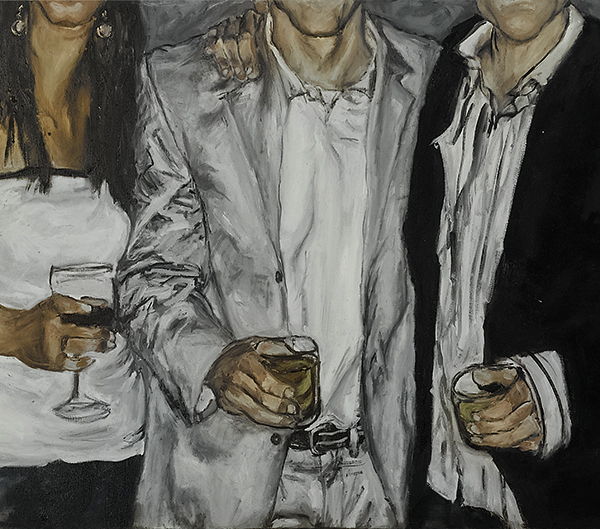 Alisan Fine Arts is again showing recent paintings by the internationally acclaimed artist, Walasse Ting. 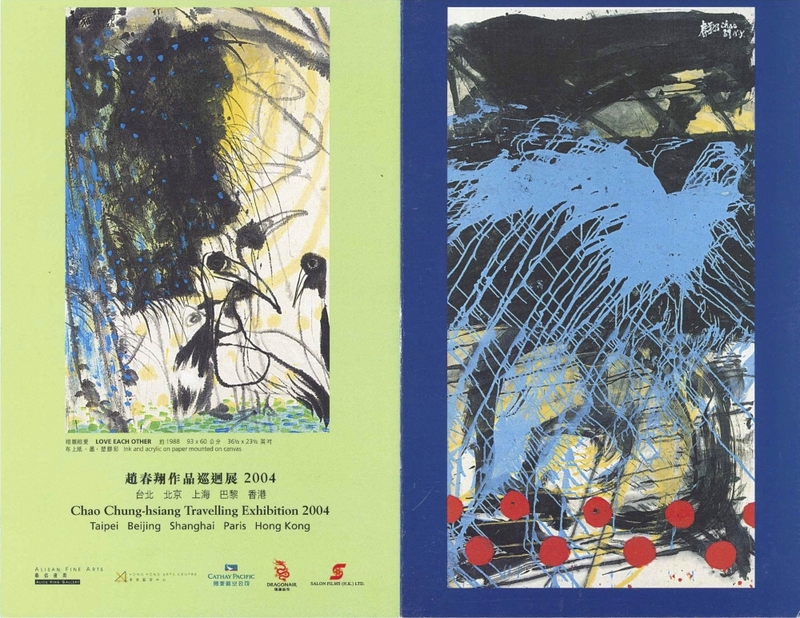 This is the eighth exhibition for Ting since the gallery started representing him in 1986. 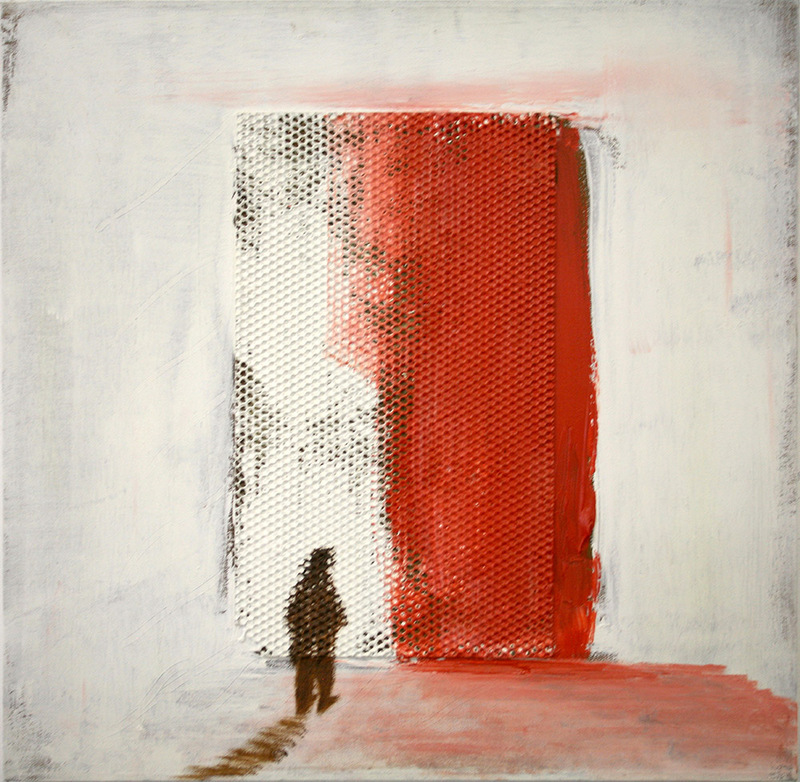 The artist will be present at the opening. 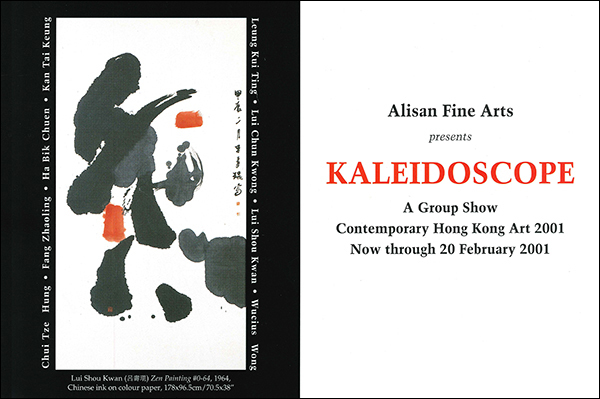 Alisan Fine Arts is proud to exhibit paintings by local Hong Kong artists in “Kaleidoscope: Contemporary Hong Kong Artists 2001”. 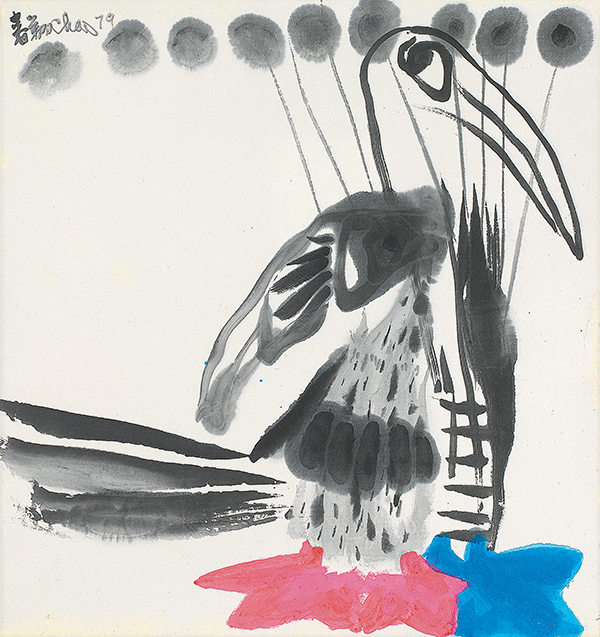 Coinciding with the 2000 exhibition of contemporary art at the Hong Kong Museum of Art, this show features works by Chui Tze-hung, Fang Zhaoling, Ha Bik-chuen, Kan Tai-keung, Leung Kui-ting, Lui Chun-kwong, Lui Shou-kwan and Wucius Wong. 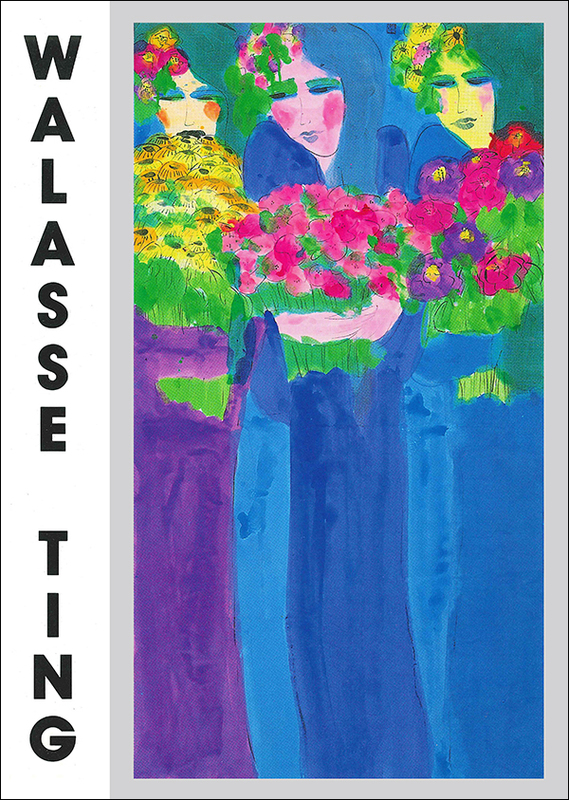 In October, Alisan Fine Arts will once again present the latest works of internationally acclaimed artist, Walasse Ting. 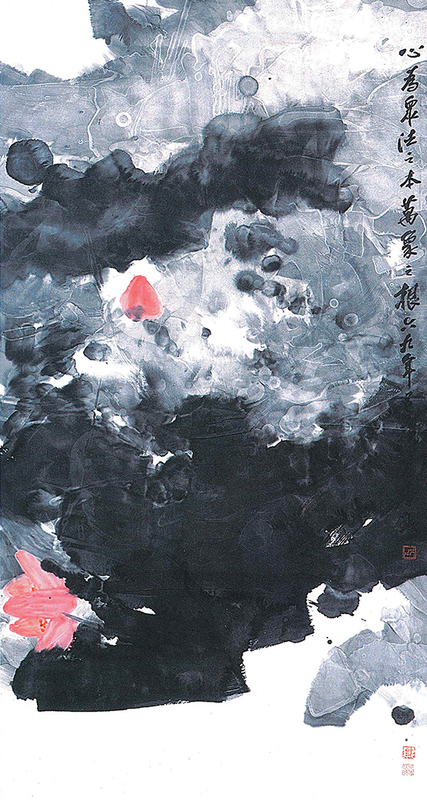 The works displayed will also include a selection of paintings published in his latest book, “A Very Hot Day” which was printed for his show last year at the Shanghai Art Museum. 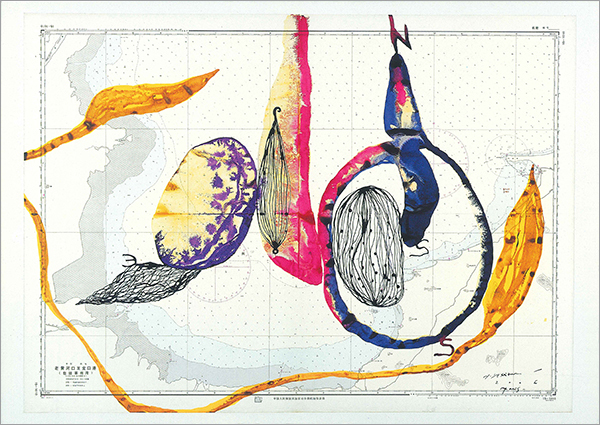 Walasse Ting will be coming to Hong Kong especially for the opening. 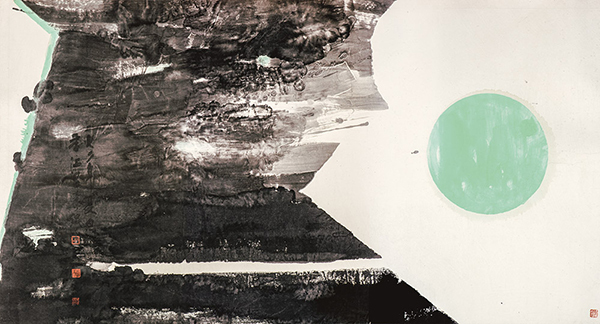 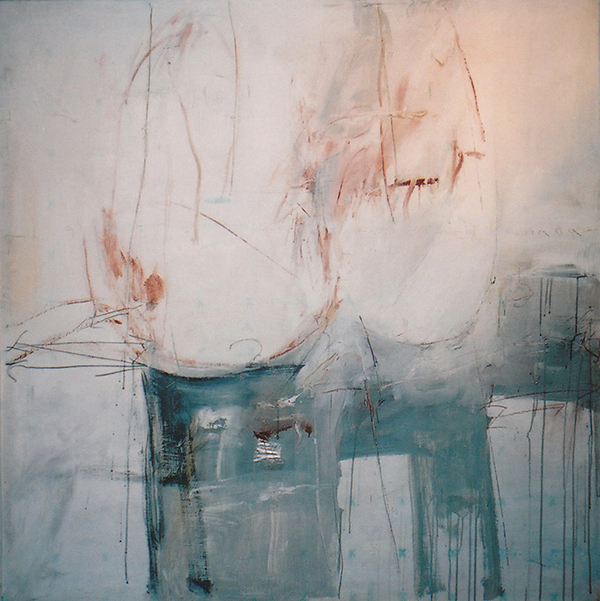 To coincide with Gao Xingjian’s visit as a guest lecturer in the Youth Literary Arts Camps at the University of Science and Technology, Alisan Fine Arts will be presenting 20 recent paintings by Gao. 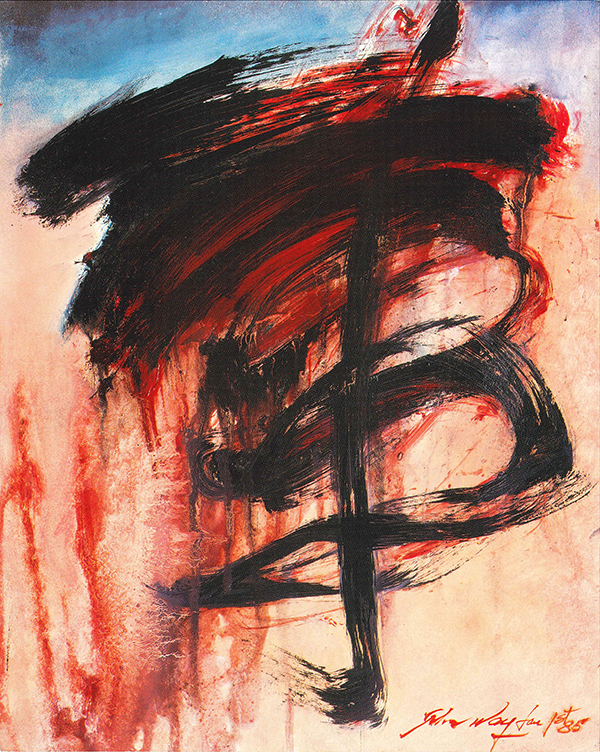 He last exhibited at Alisan Fine Arts in September, 1996. 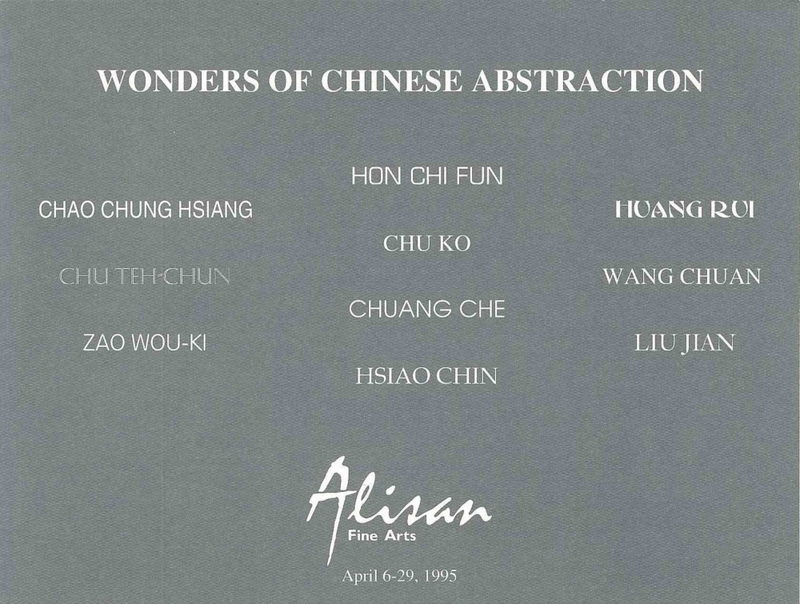 In conjunction with the publication of Chao Chung Hsiang's second major catalogue, Alisan Fine Arts is staging an exhibition of this renown Chinese artist who lived in New York from the mid 1950's to 1980's. 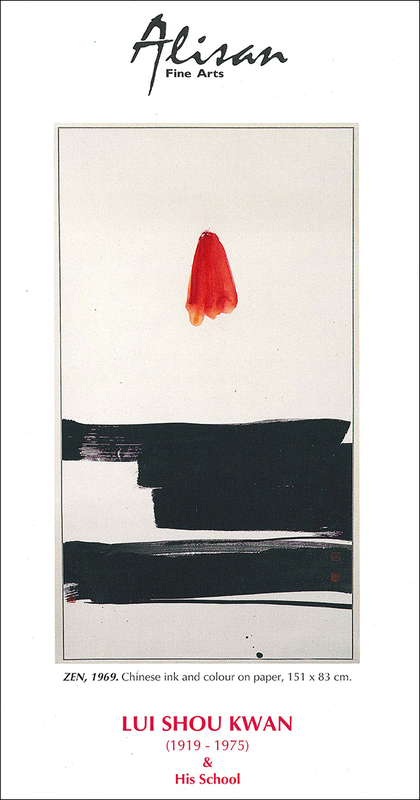 This is the fourth major exhibition the gallery will be holding for Chao since 1985. 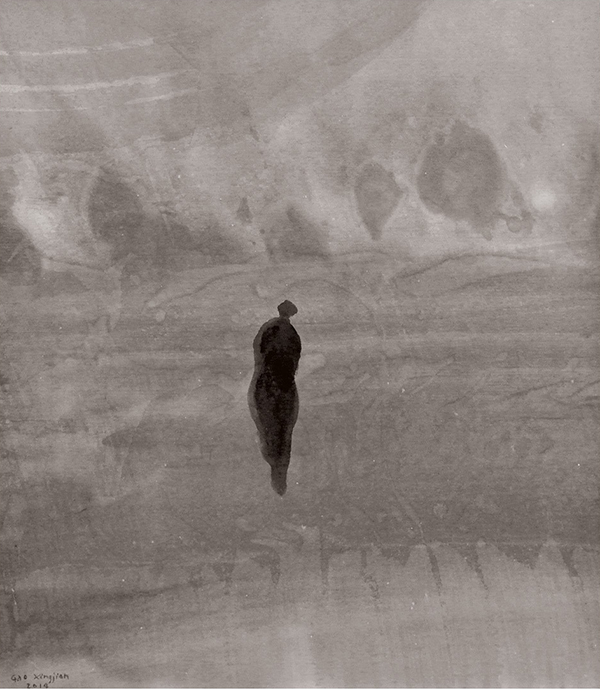 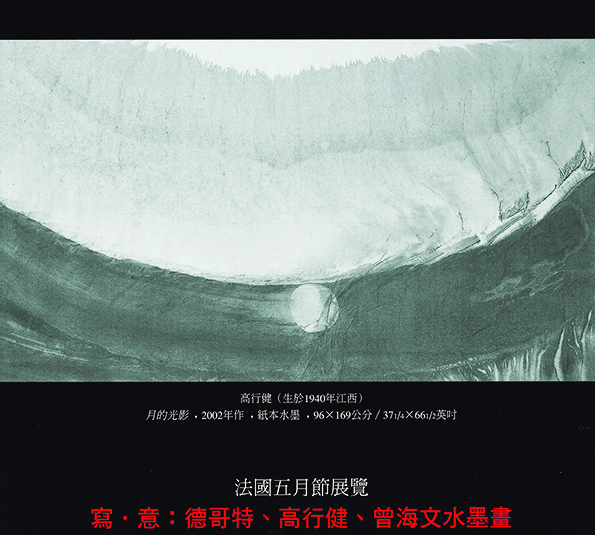 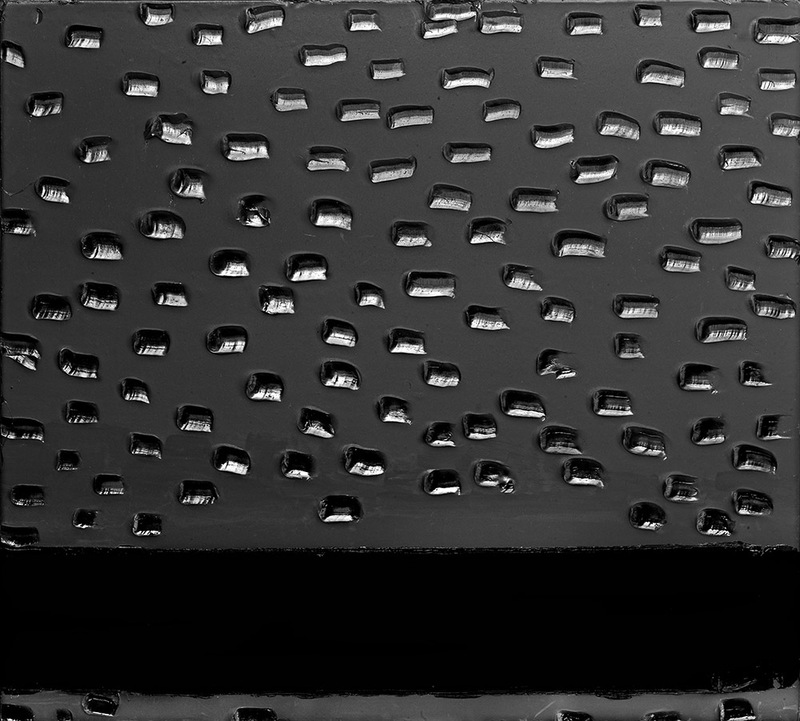 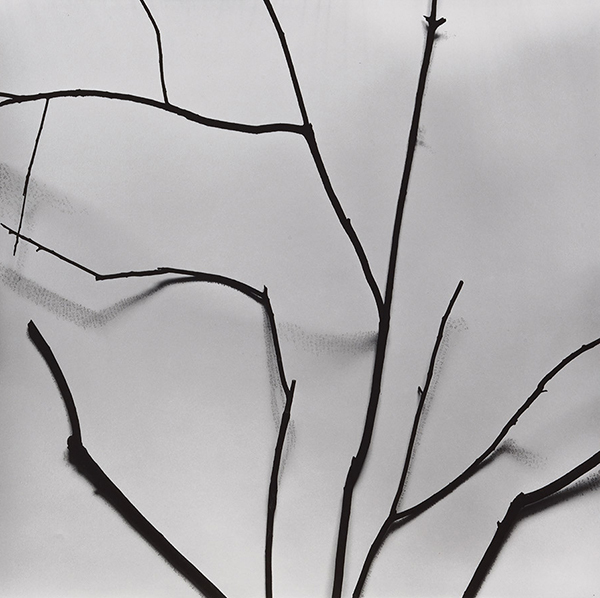 Alisan Fine Arts presents Gao Xingjian’s first solo exhibition in Hong Kong. 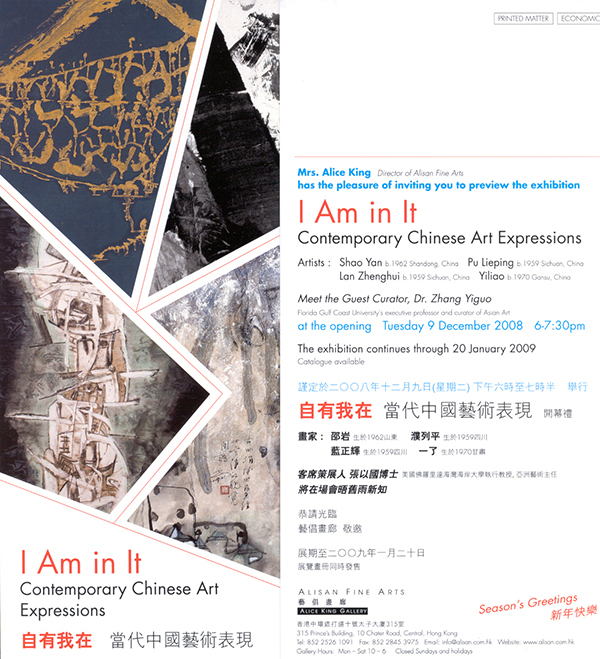 The exhibition is to be opened by Mr. Philippe M. Reliquet, Cultural Attache of the Consulate General of France in Hong Kong & Macau and Mr. T. T. Tsui, Chairman of The New China Hong Kong Group Ltd and CNT Group Ltd. 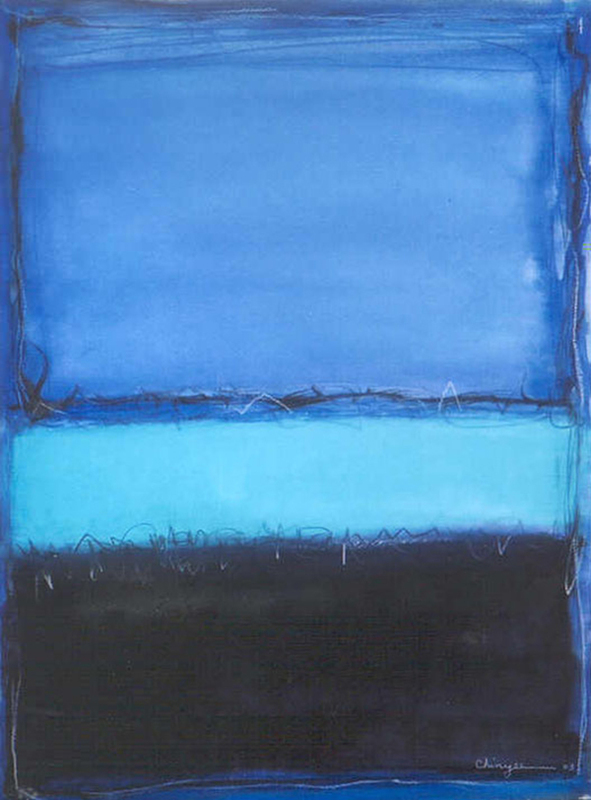 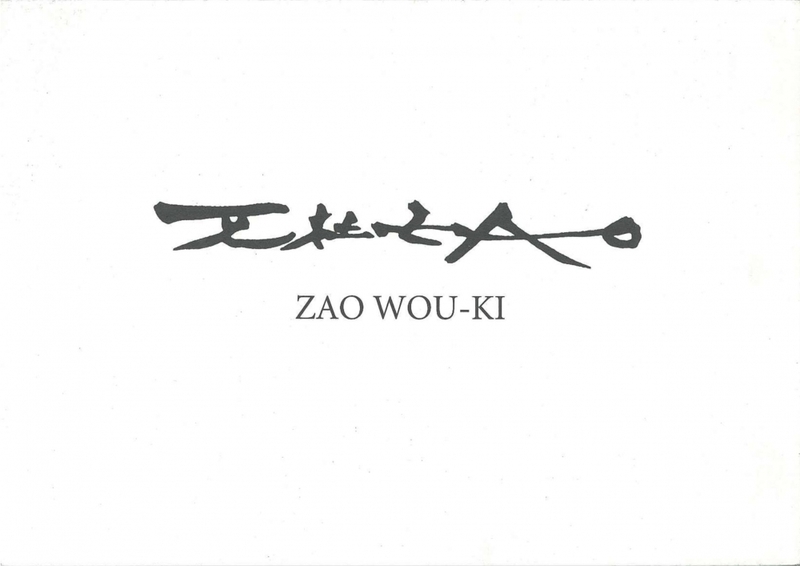 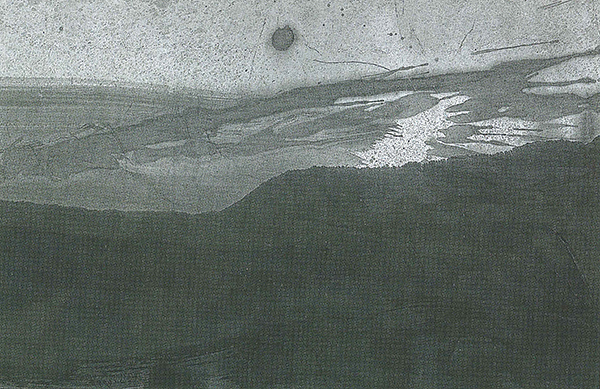 The second exhibition after Alisan Fine Arts represents Zao Wou-ki's artworks. 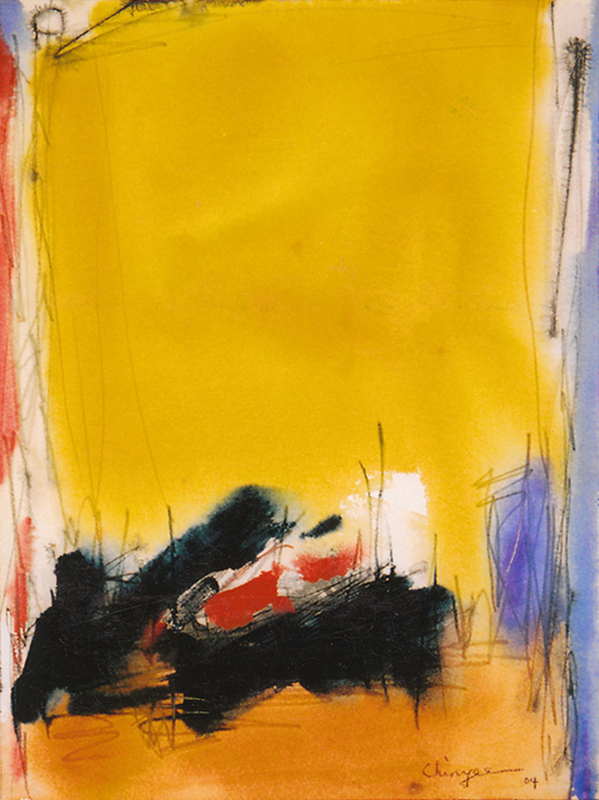 Alisan Fine Arts was one of the first galleries in Hong Kong to exhibit Zao Wou-ki’s works on canvas and paper, and began representing him in 1993. 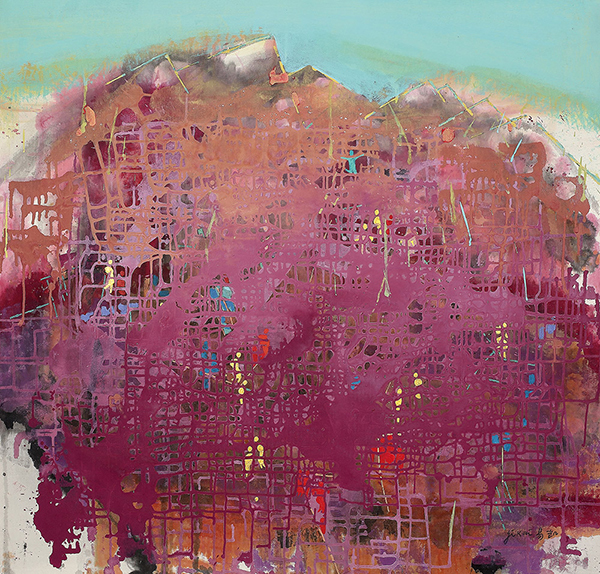 Alisan Fine Arts collected 11 artists to present a visual feast of Chinese Abstract Art. 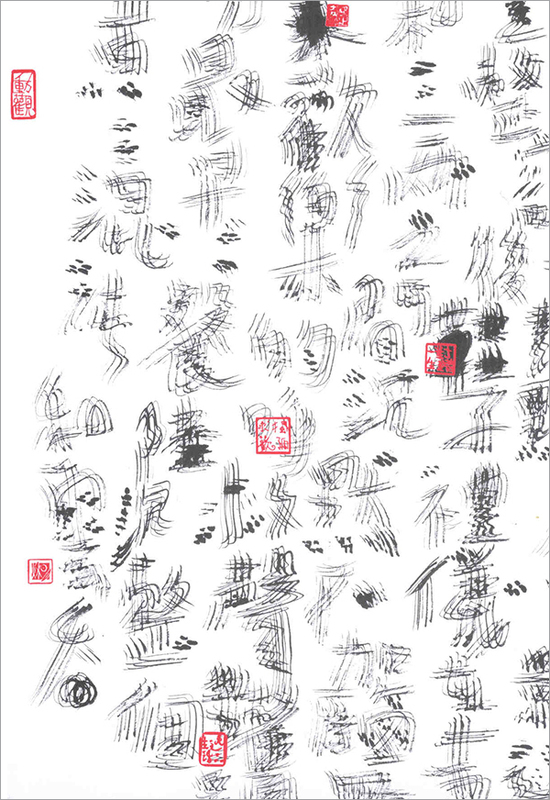 They are Chao Chuang-hsiang, Chu Teh-chun, Chu Ko, Chuang Che, Hon Chi-fun, Hsiao Chin, Huang Rui, Liu Jian, Wang Chuan, and Zao Wou-ki. 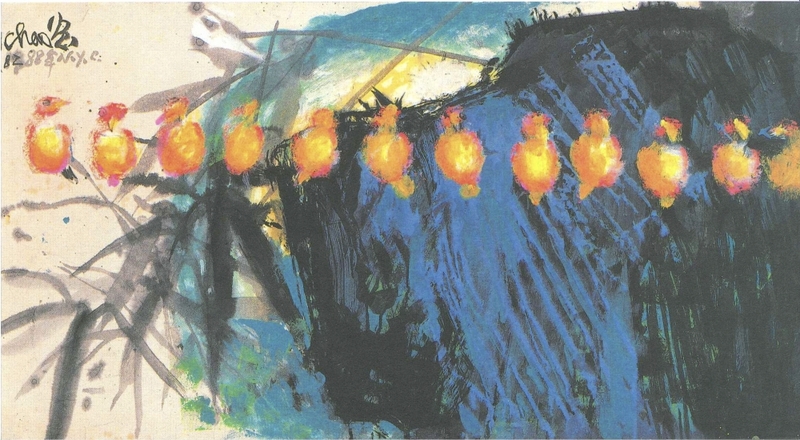 “The Magical World of Walasse Ting” is the third solo exhibition of Walasse Ting organised by Alisan Fine Arts. 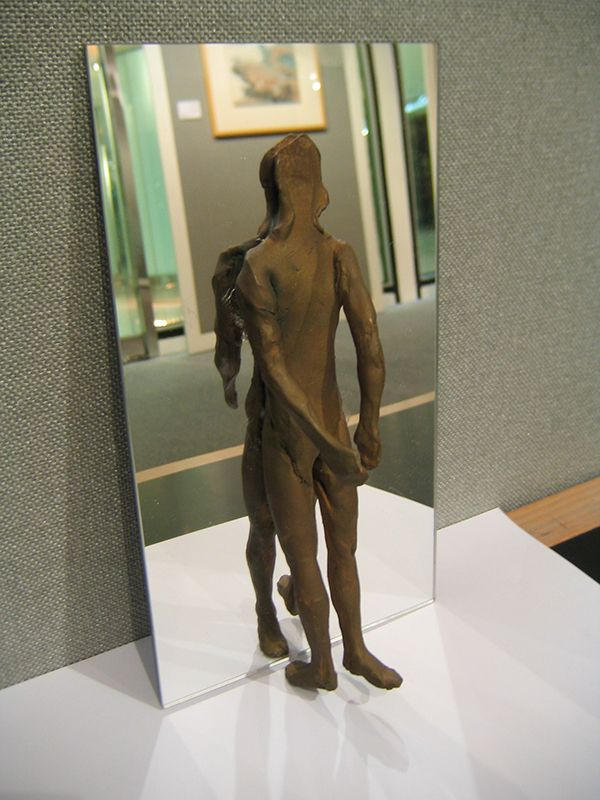 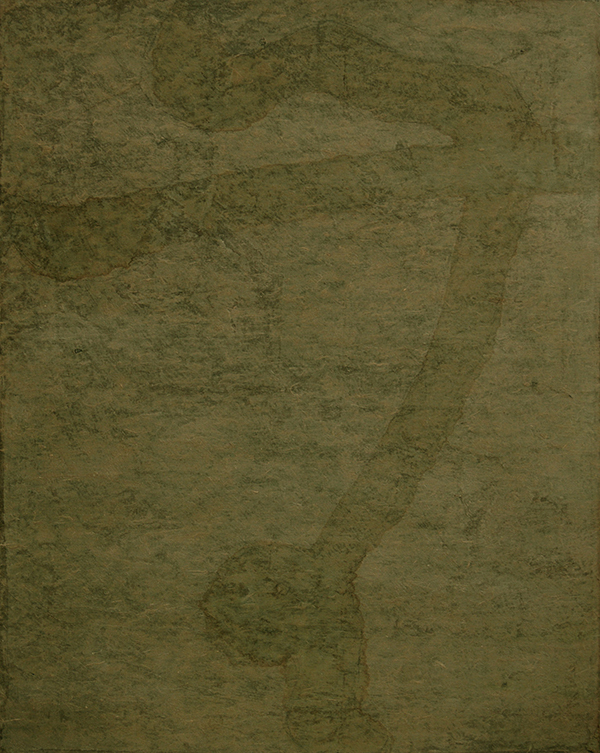 It is shown simultaneously at Hong Kong Arts Centre, from October 22 – 31, and at Alisan Fine Arts through November 6. 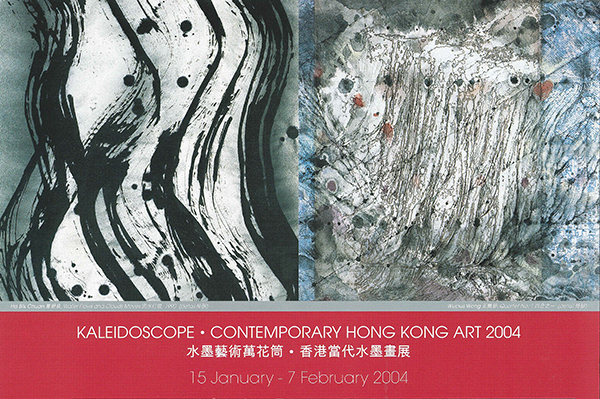 A preview of the exhibition takes place in the Pao Galleries, 5/F Hong Kong Arts Centre, on October 22, 1993. 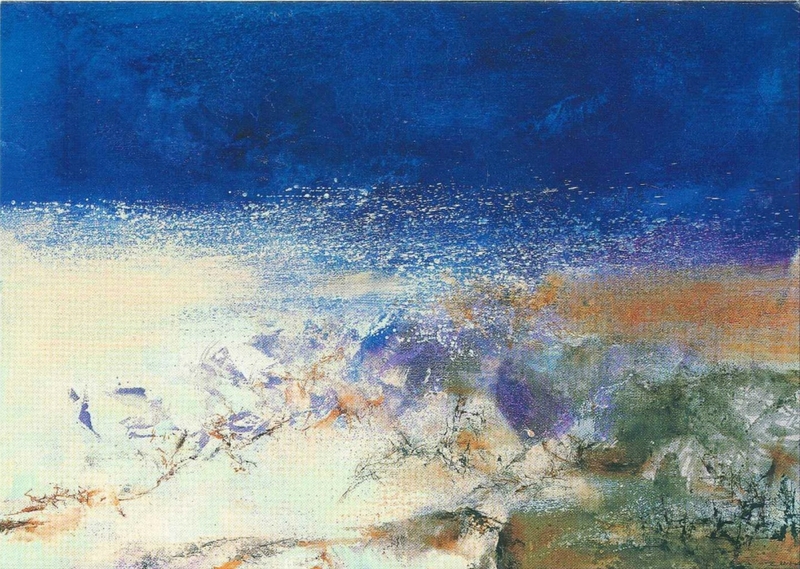 During the months of May and June, 1993, Alisan Fine Asts will proudly present Zao Wou-ki's first exhibition since his retrospective in 1982 at the Hong Kong Arts Centre. 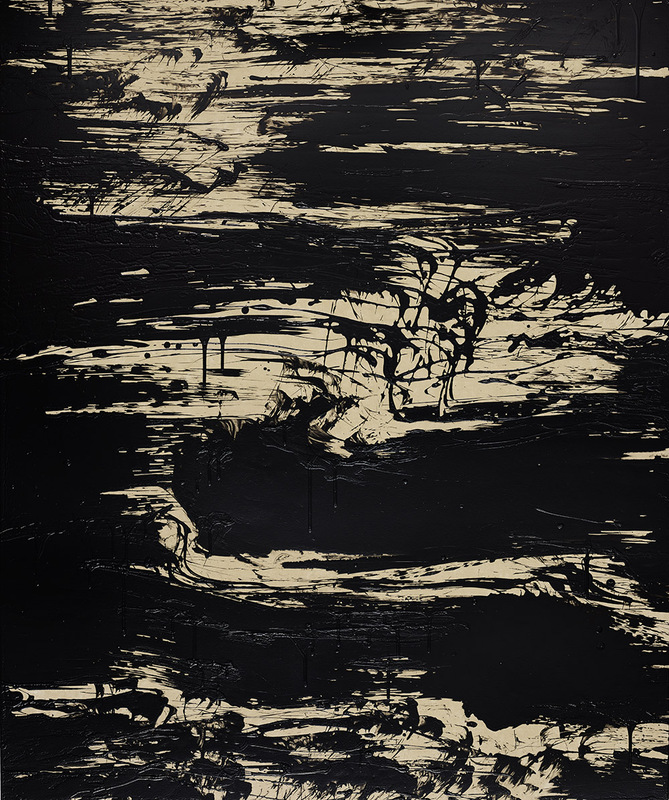 This will be Zao's first ever solo exhibition in Hong Kong. 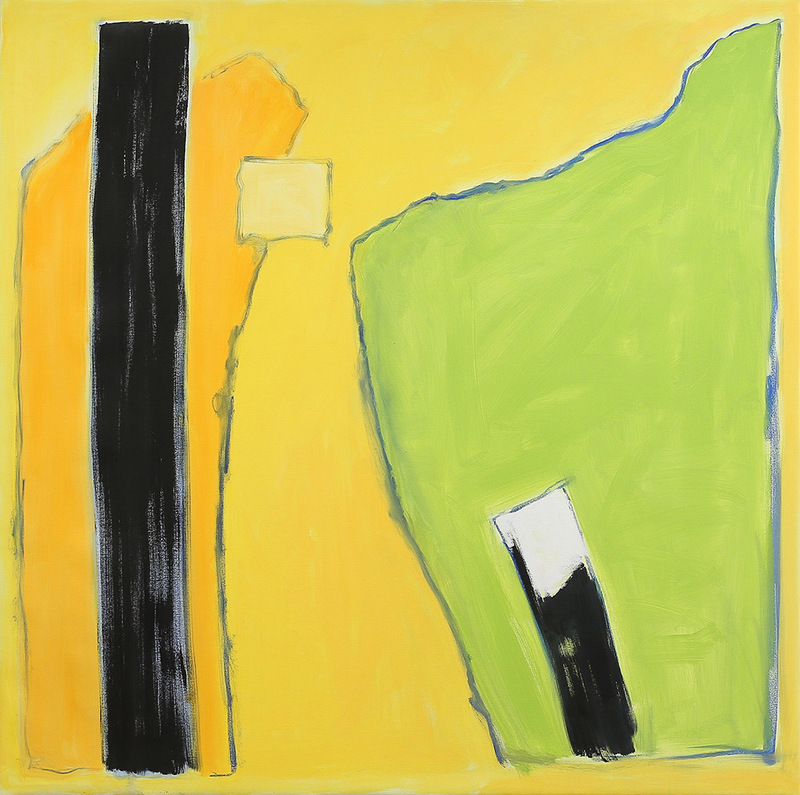 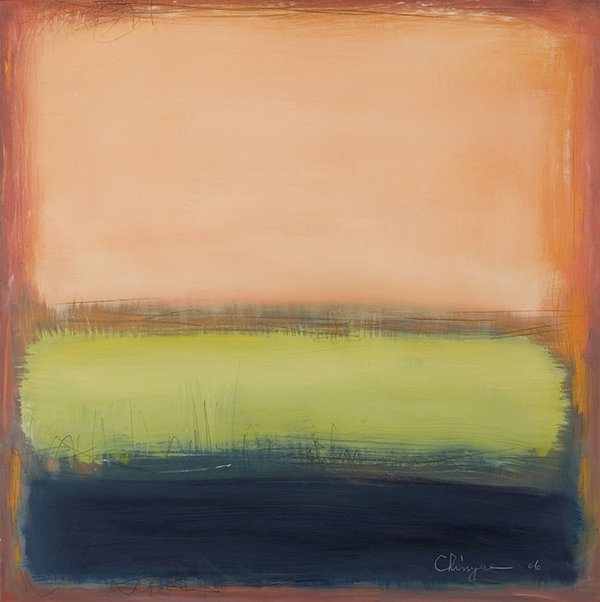 On show will be 15 of his lyrical abstraction painting done in the last few years. 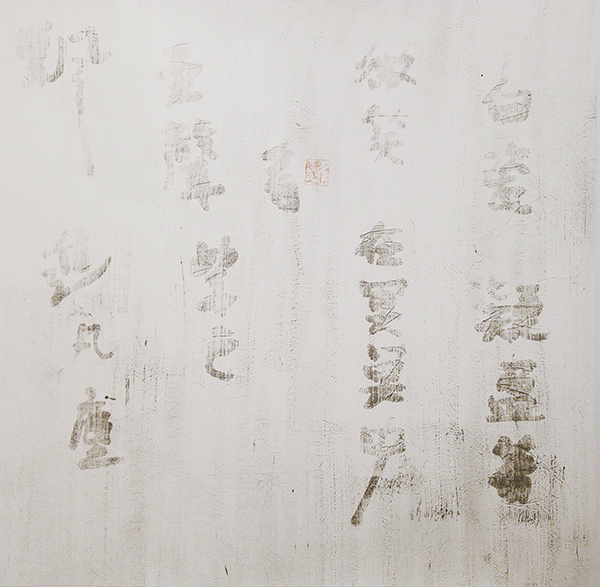 During the month of October, Alisan Fine Arts Ltd presents a major exhibition of painting by Chao Chung-hsiang. 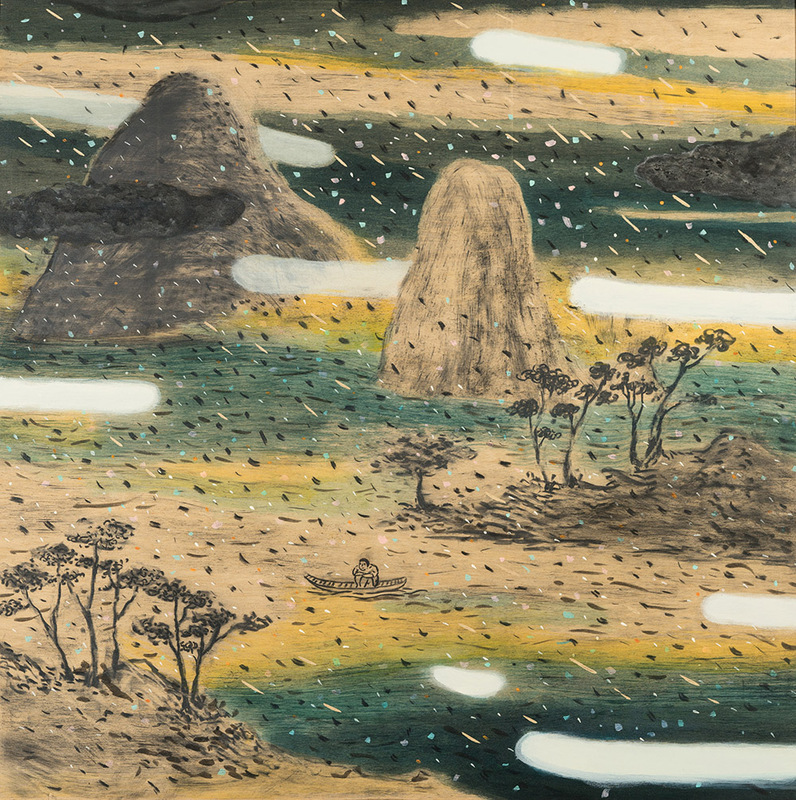 Occurring at two separate sites during overlapping weeks, the exhibition shows over 70 works by Chao--a Chinese artist who straddled, bridged, and sometimes slipped between East and West. 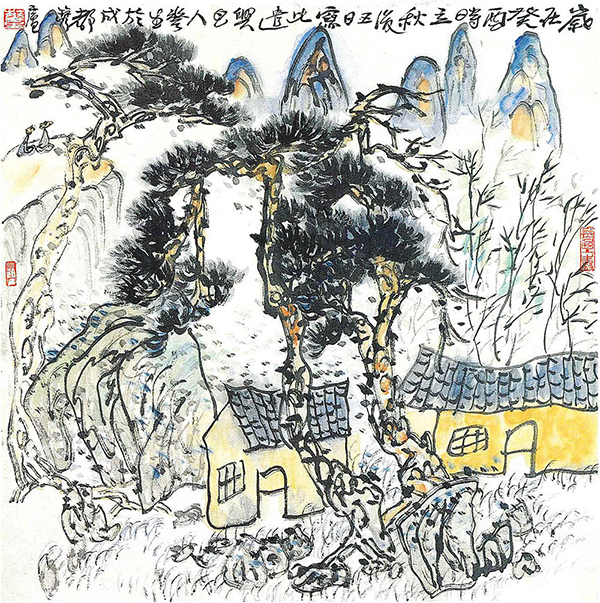 Cui Zi fan, the well-known master of modern Chinese painting whose spontaneous style and versatility has been likened to that of Qibaishi, will be showing at Alisan Fine Arts during the month of March, 1992. 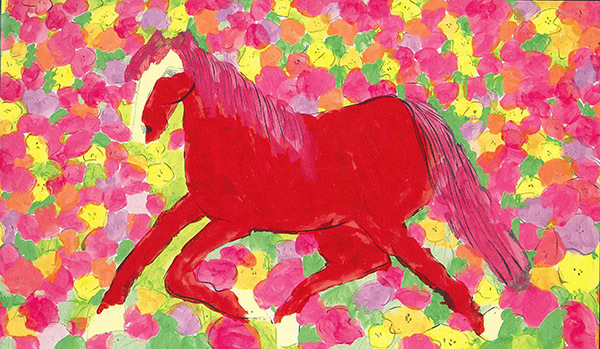 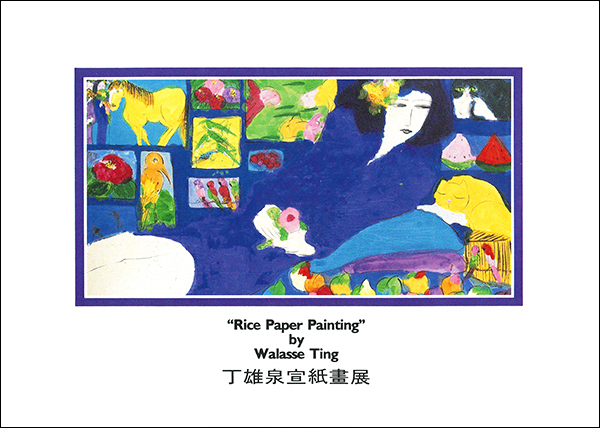 Alisan Fine Arts presents “The Enchanting World of Walasse Ting”. 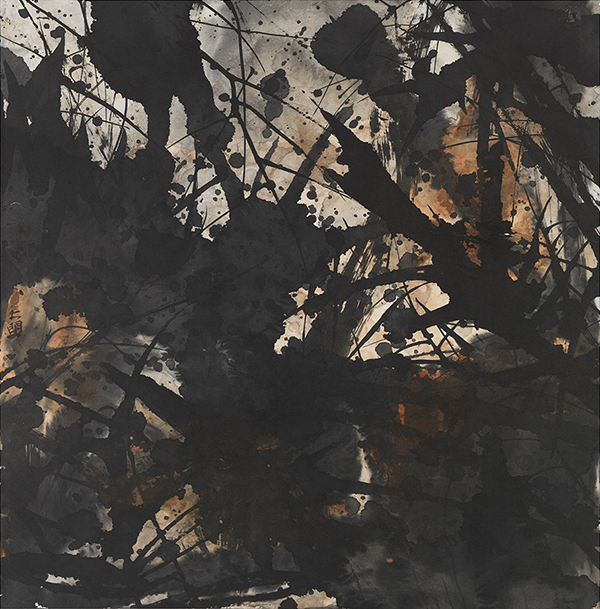 More than 30 of Ting’s recent works painted in the Netherlands, New York and Brazil will be exhibited. 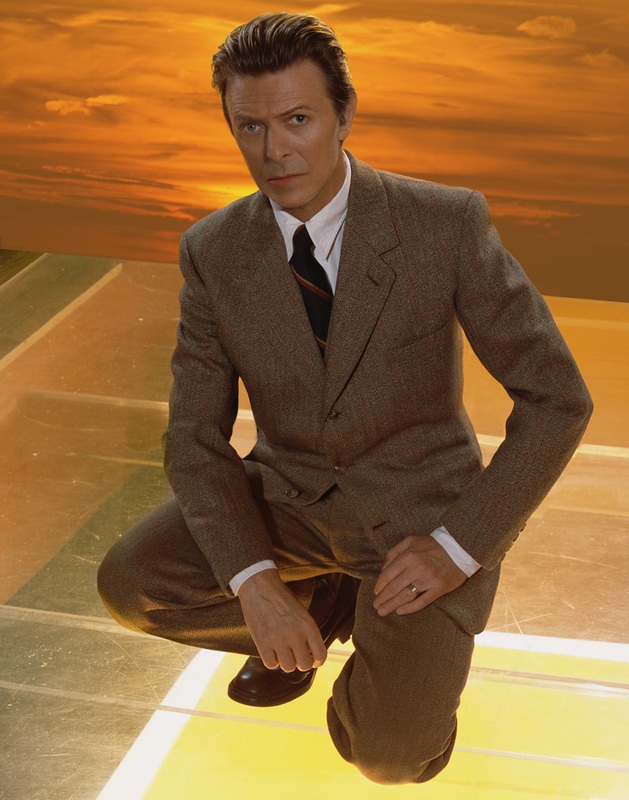 Meet the artist at the opening of his exhibition on June 12, 1991. 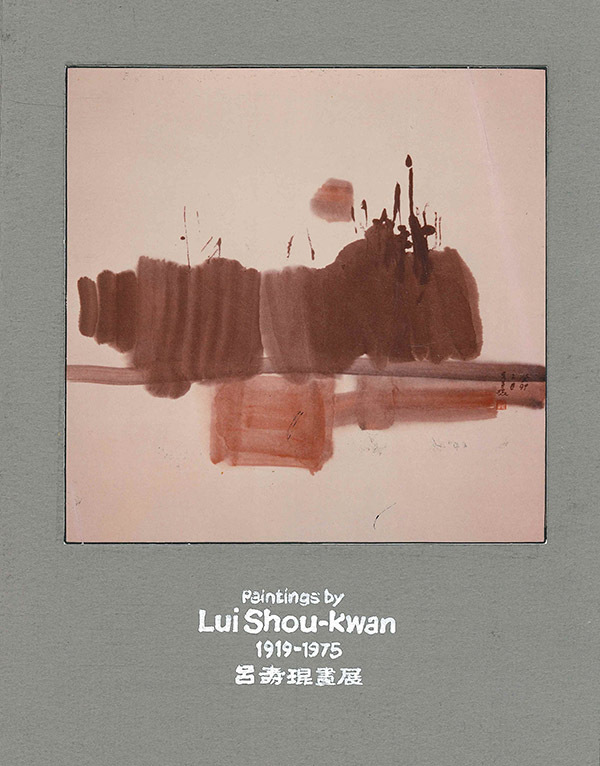 To mark the opening of its new premises at 315 Prince’s Building, Alisan Fine Arts will be organizing an exhibition of Chinese paintings by Hong Kong’s prominent avant-garde artist Lui Shou-kwan from March 4 – 19, 1988. 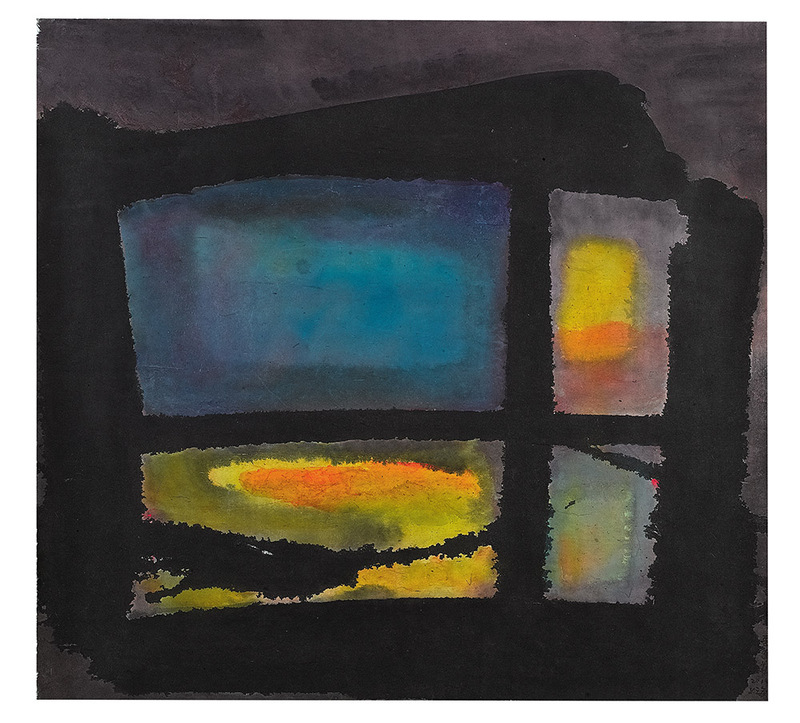 Exhibition will include about 30 works ranging from his early wen-ren (literati) style to the abstract paintings of his final period. 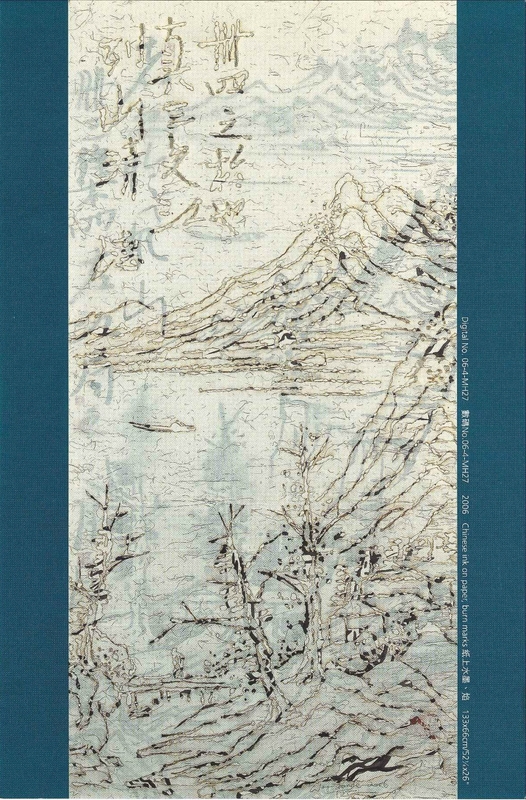 Alisan Fine Arts presents Walasse Ting’s new exhibition “Rice Paper Painting”.